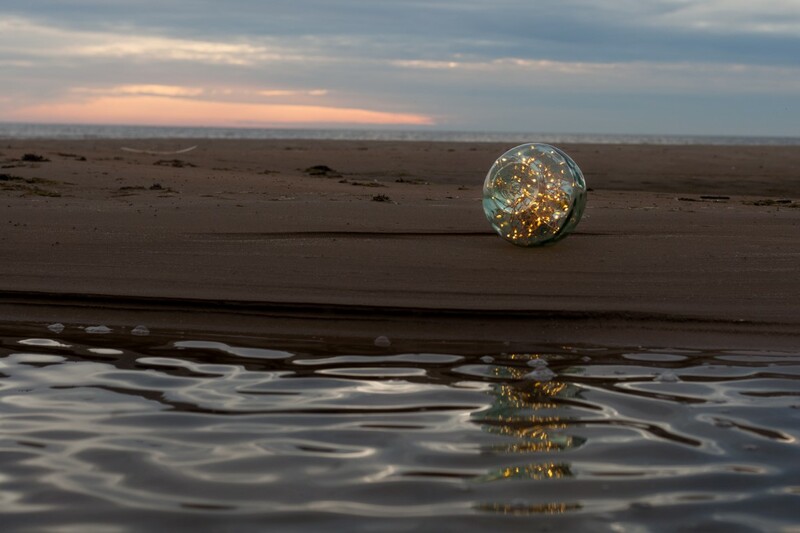 Light has inspired humanity since ages, starting with sunrise and ending with sunset. 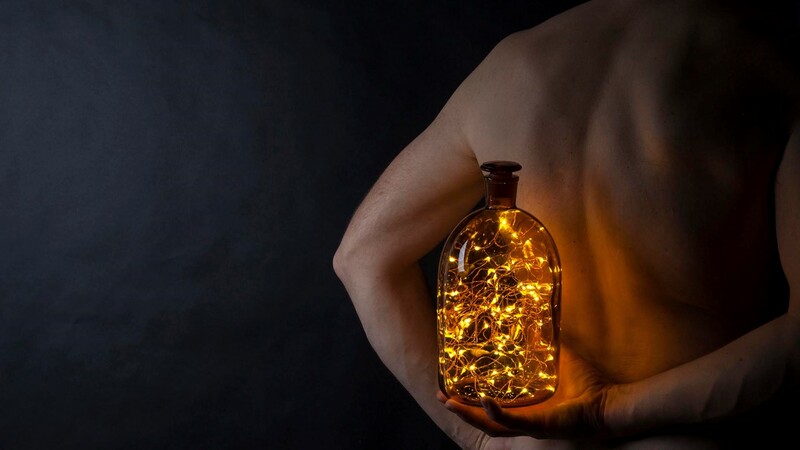 Light isn`t only a physical process, it`s a special personality condition, surrounded with good feelings and thoughts. 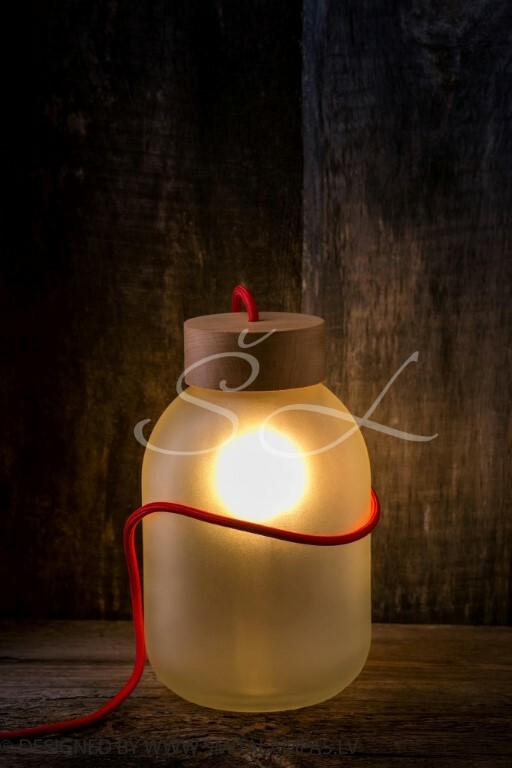 Šmita lamps were created to help the environment become brighter and cozier, even at twilight hours. 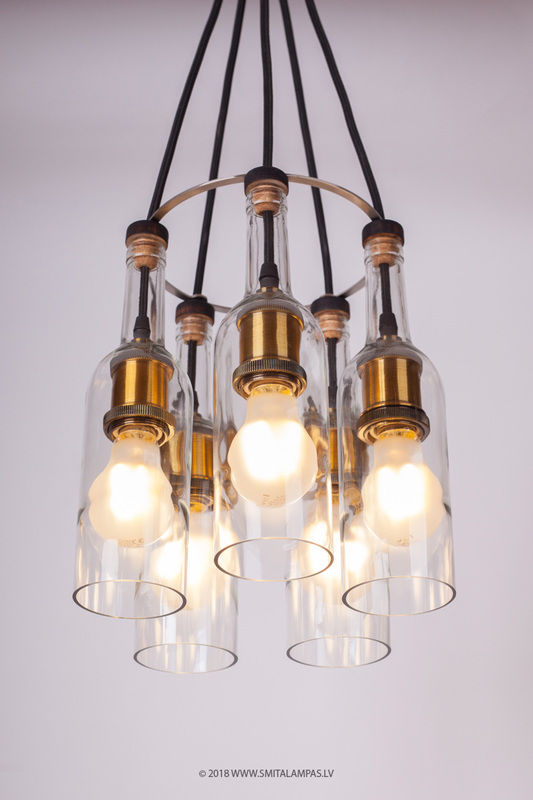 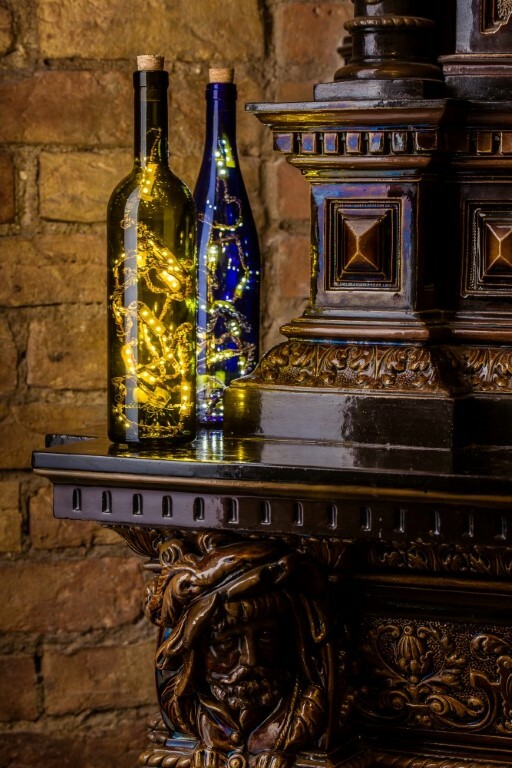 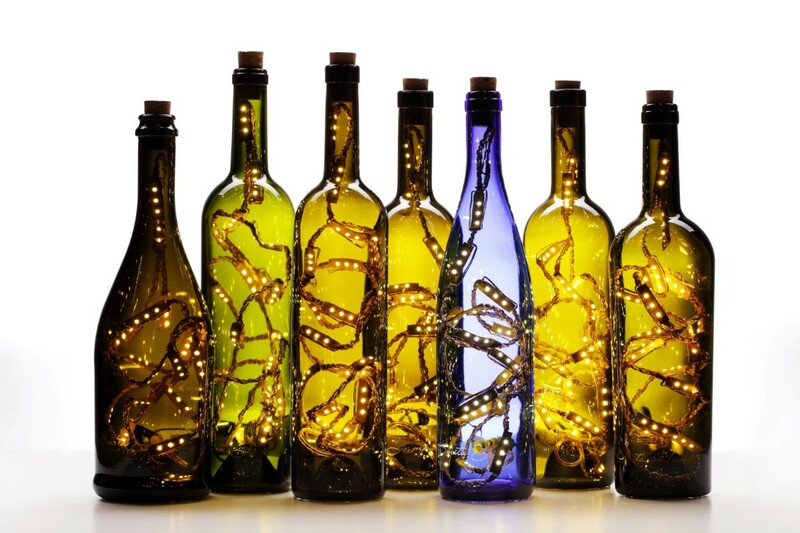 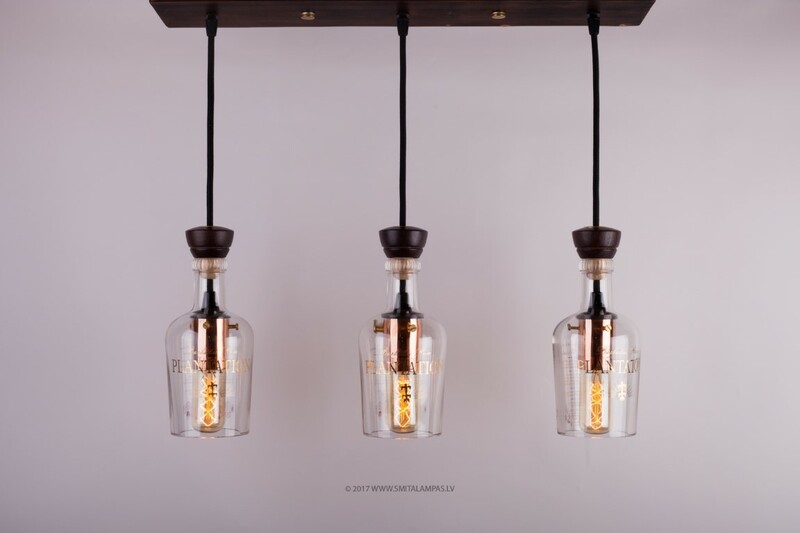 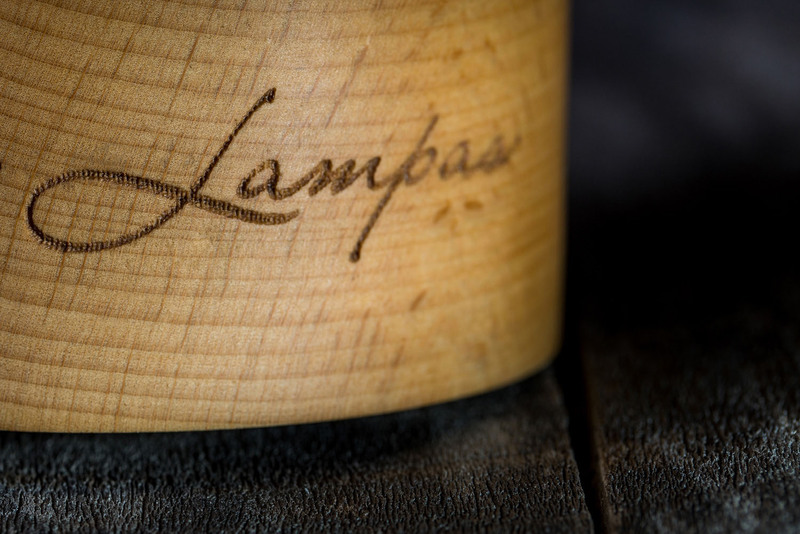 Lamps are made with special care, allowing those wine bottles to continue their life, even after they have been emptied. 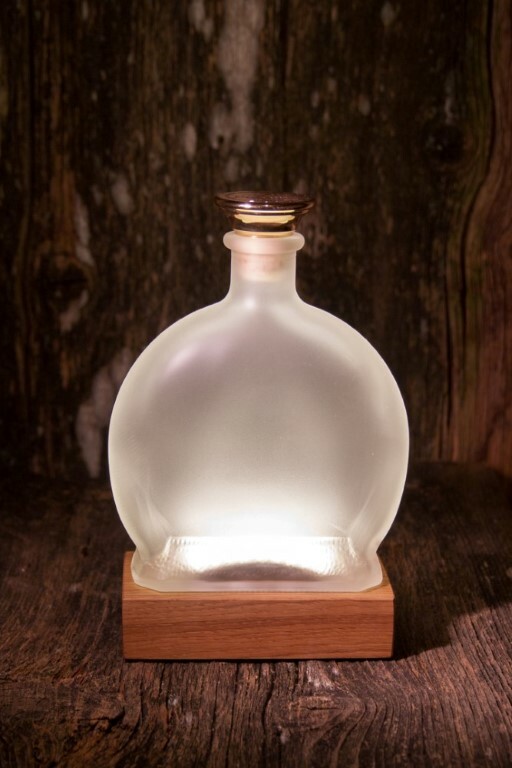 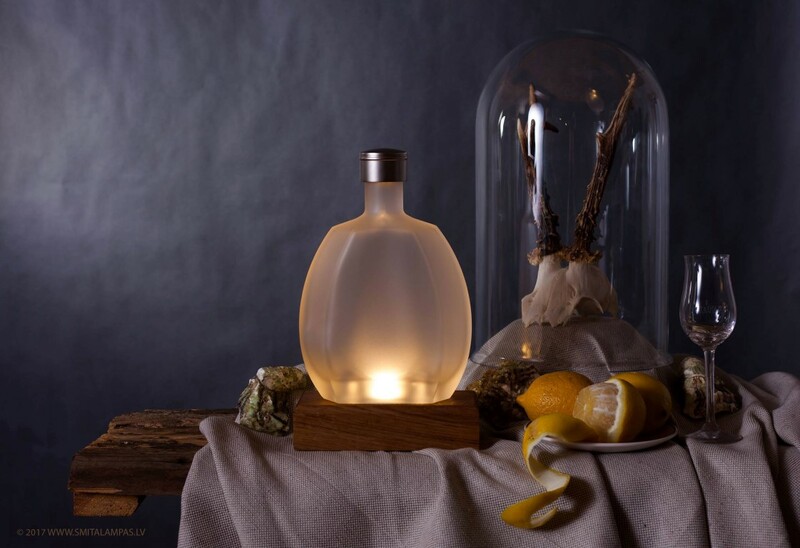 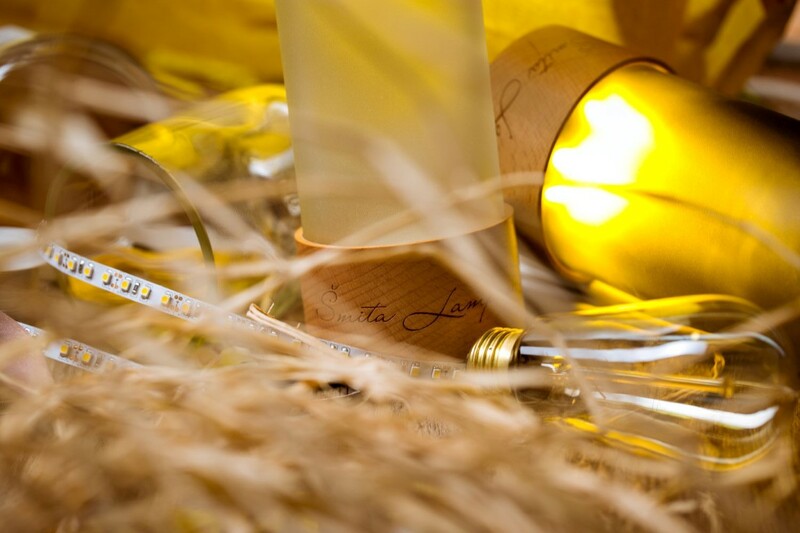 Each bottle, that has the luck to be turned into a Šmita lamp, already once has contained the brightness of the sun, that comes together with wine. 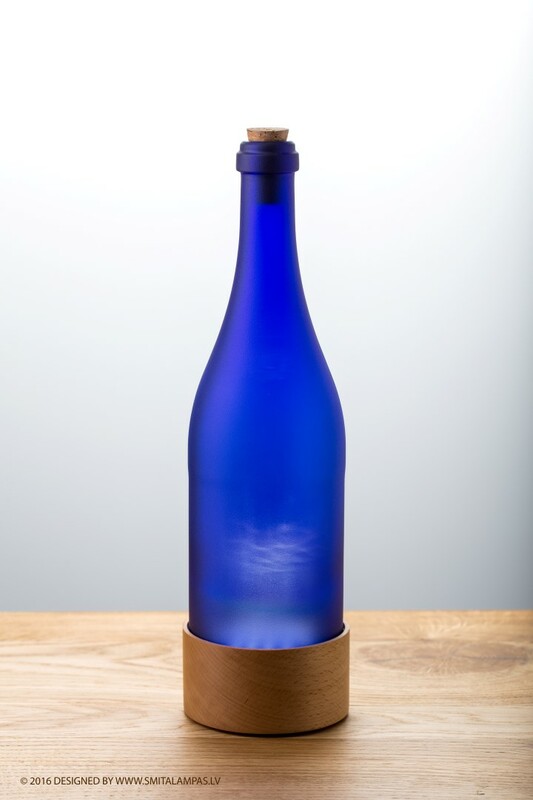 Each empty bottle once has given joy to its owner, celebrating any special event or just having a good time. 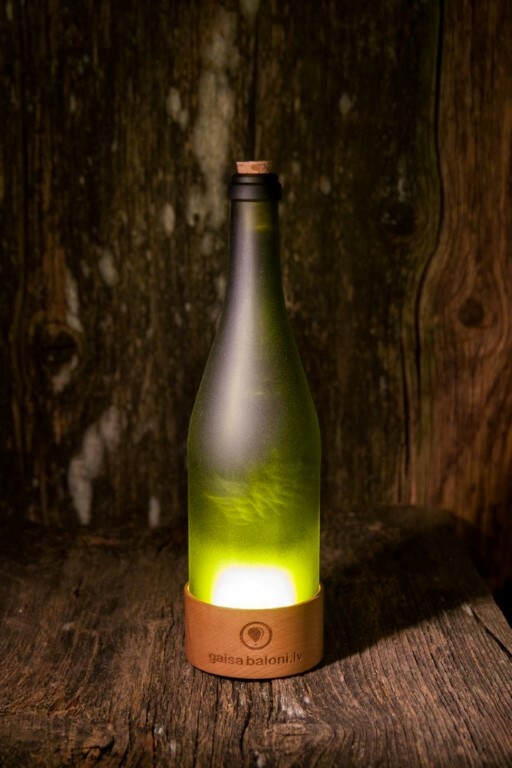 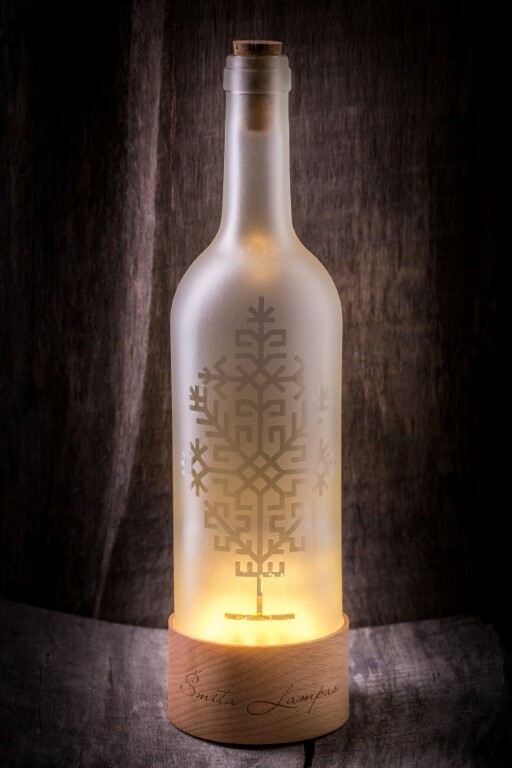 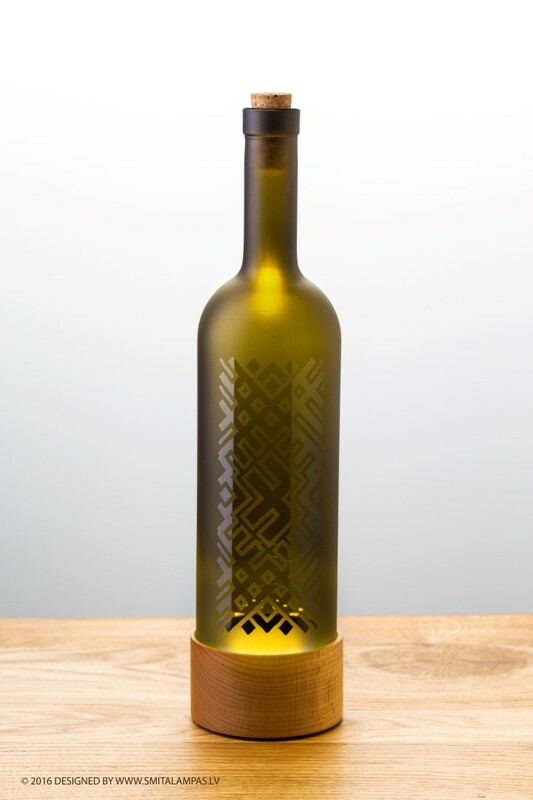 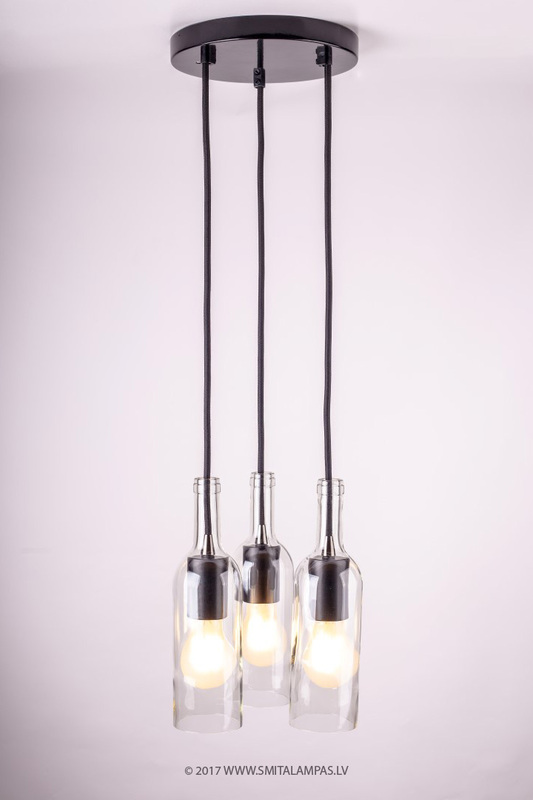 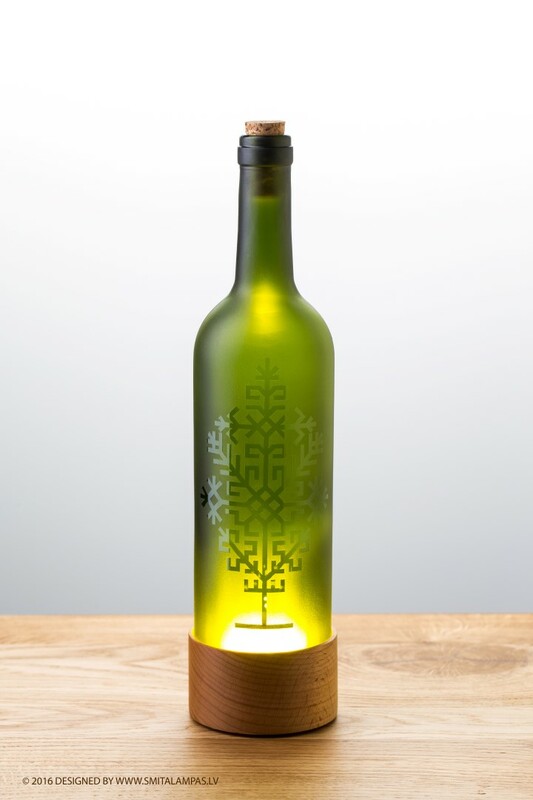 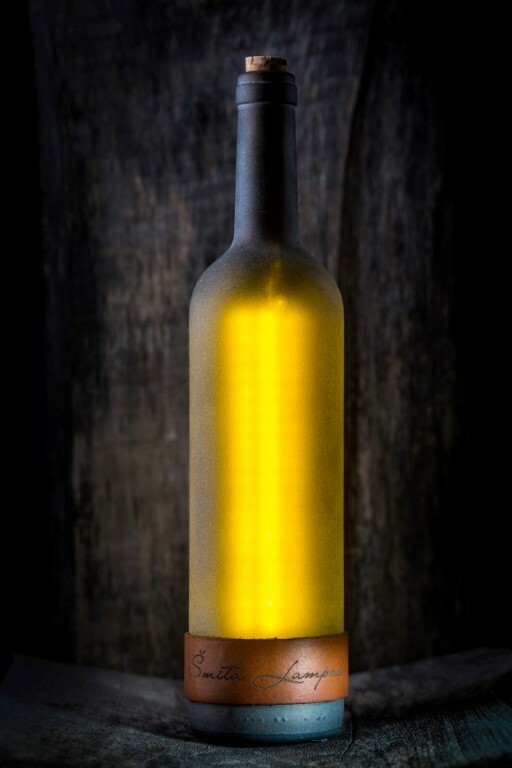 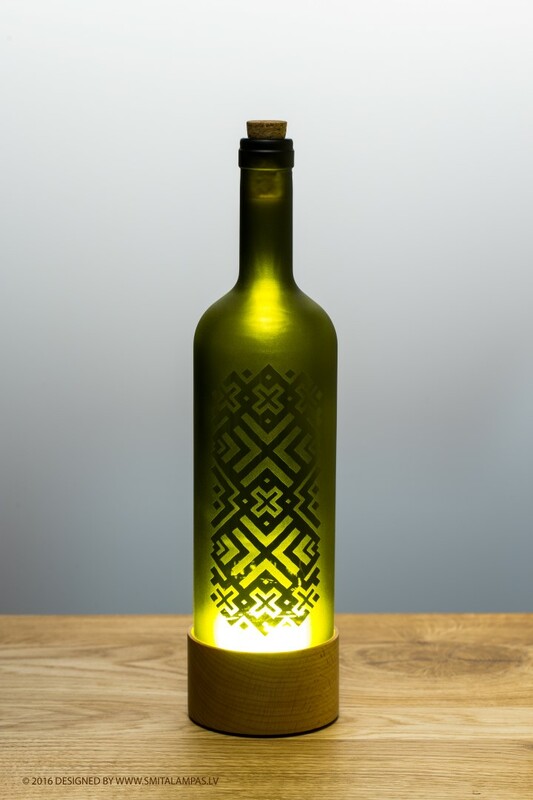 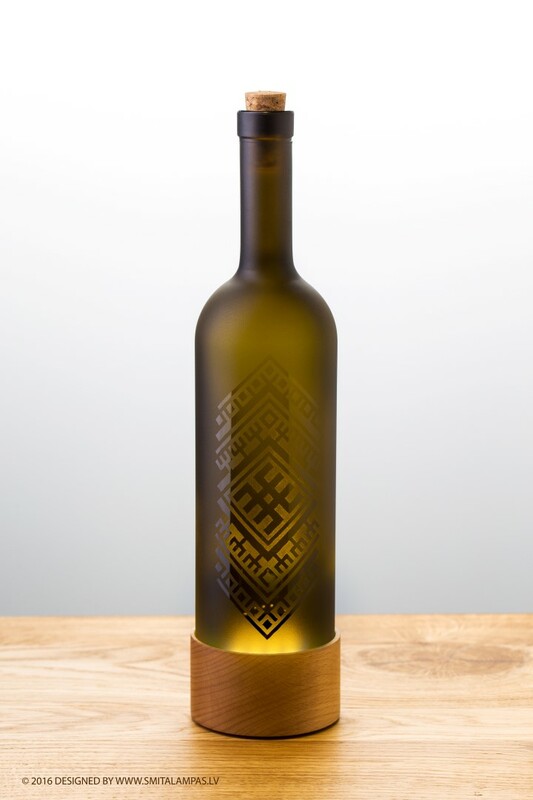 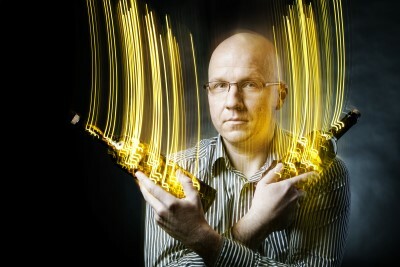 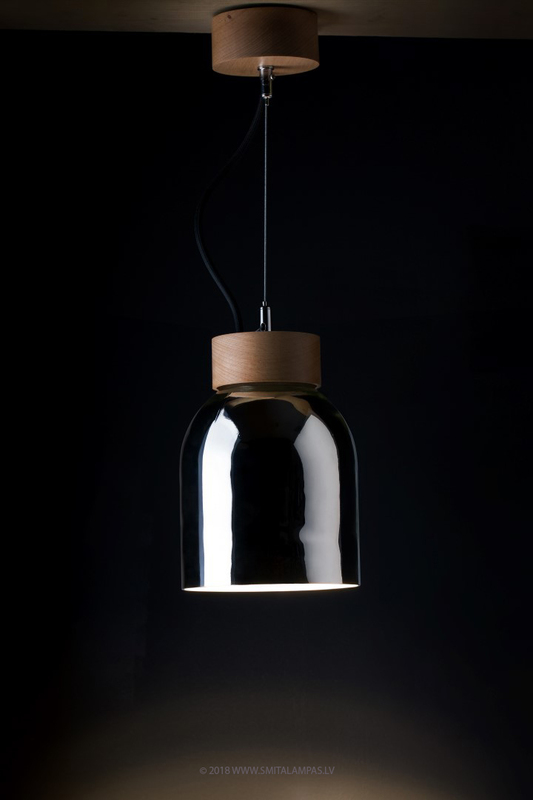 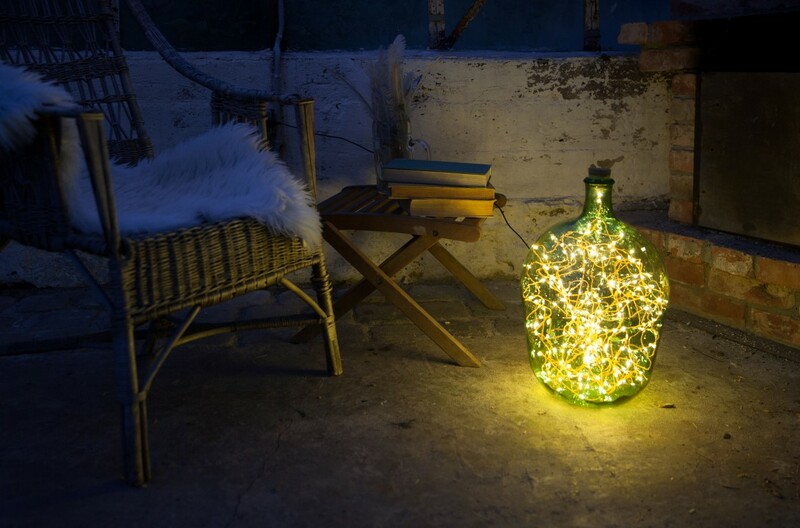 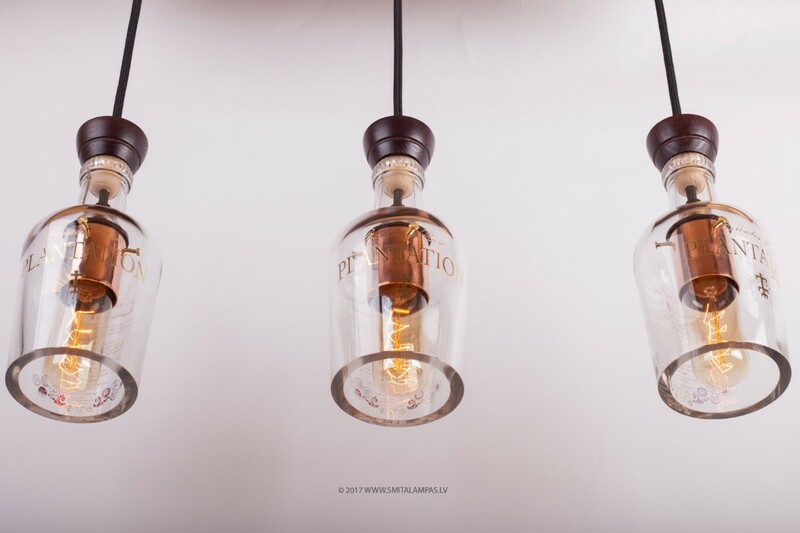 Šmita lamps allow to extended life of wine bottles, filling them with light. 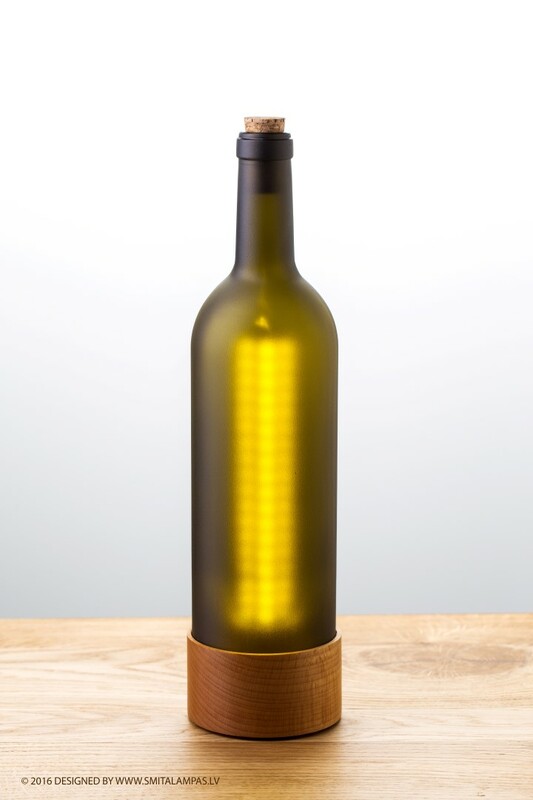 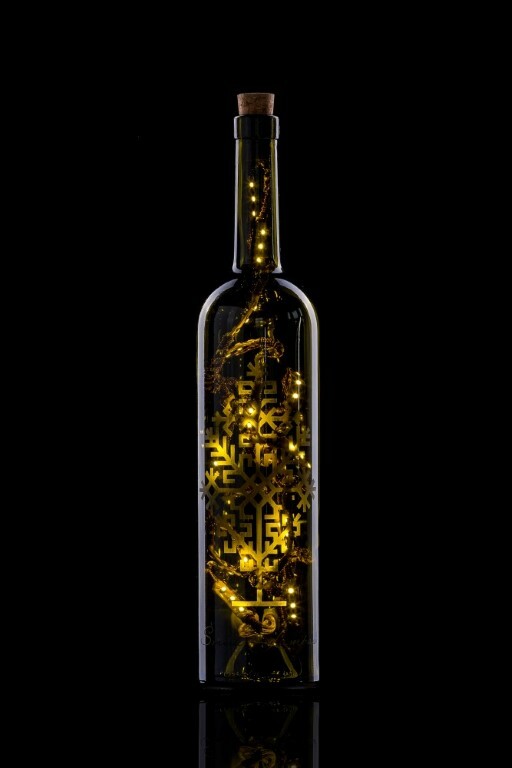 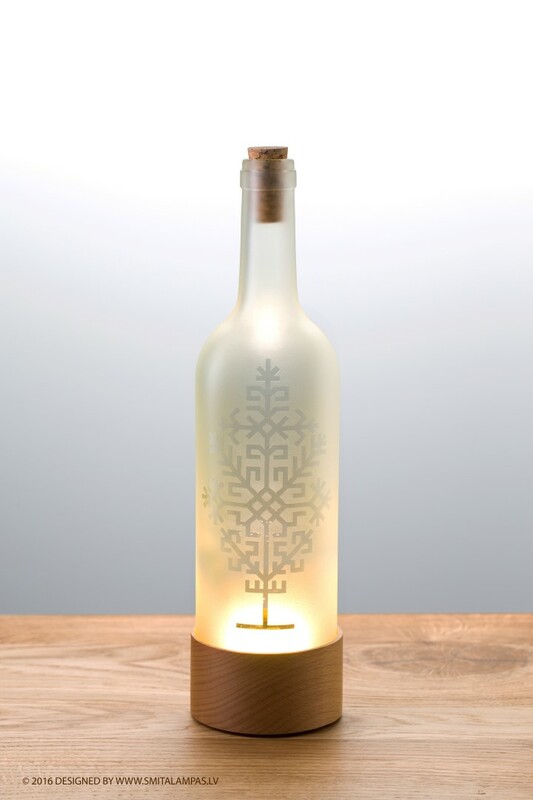 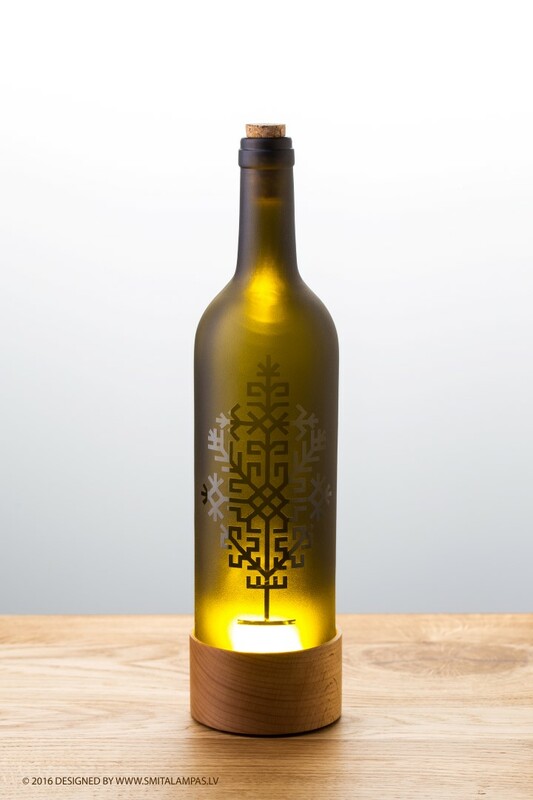 Thanks to shape of a wine bottle, this lamp fits perfectly in any interior, giving it a special accent and mood. 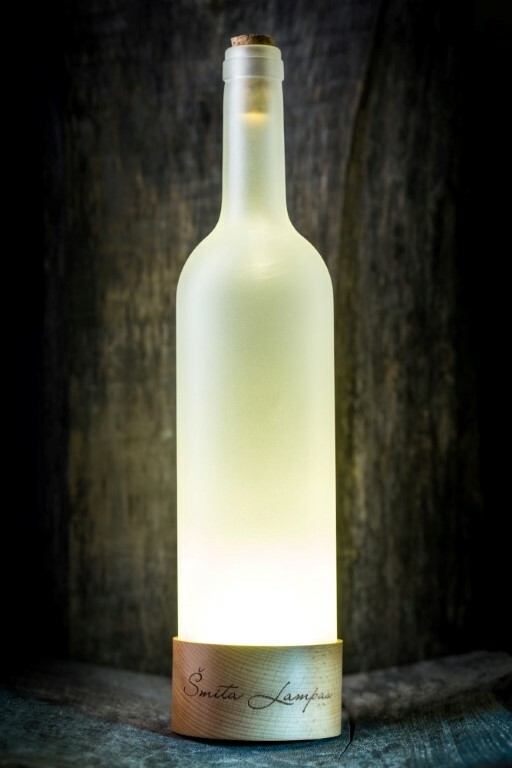 Lamp will look good in the living room, window, at the bar or in the office. 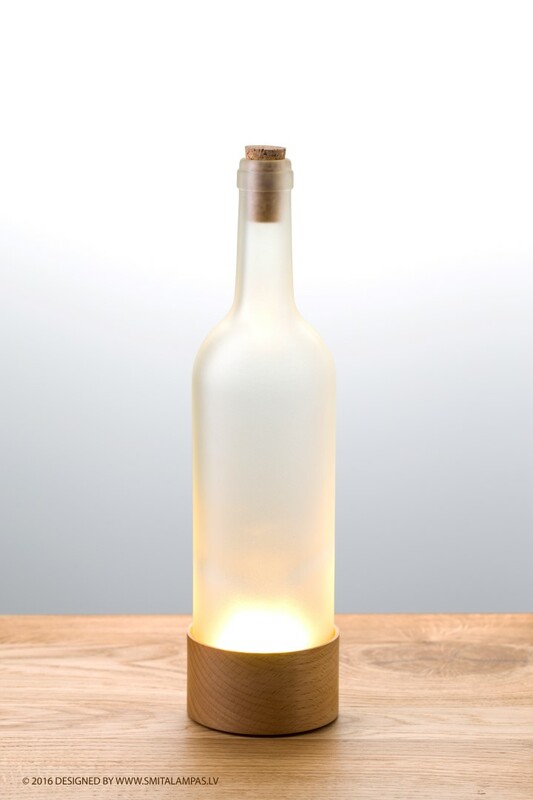 Table lamp lights are made by using energy-efficient LEDs and combining them in a special way. 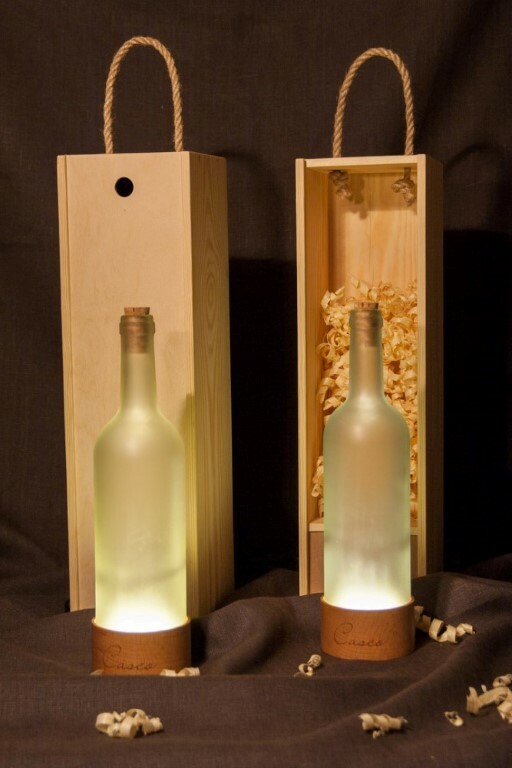 In the wooden surface of the base are embedded power switch and plug for the power supply connection. 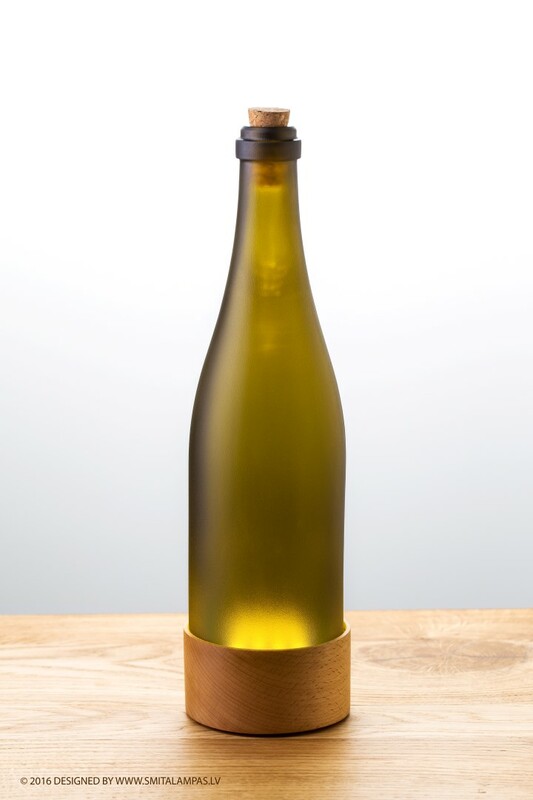 Wooden base is attached with inconspicuous silicone absorbers, that doesn`t allow scratch the surface of the bottle, which it`s placed on. 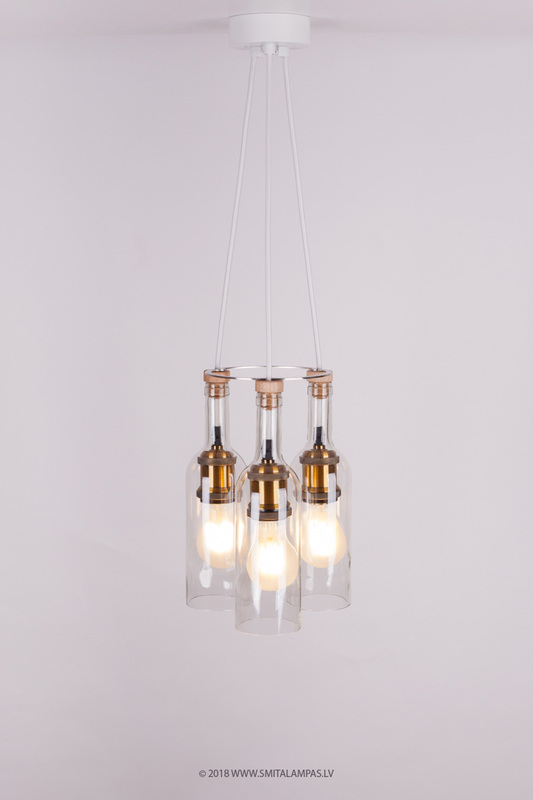 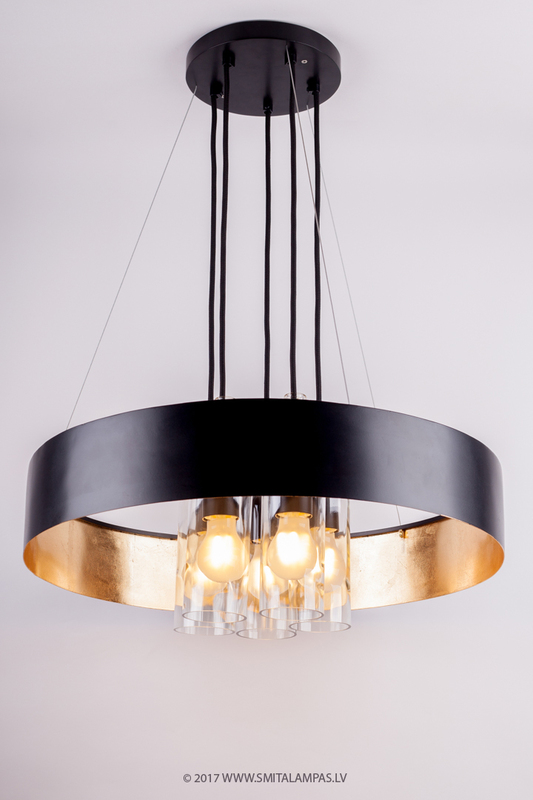 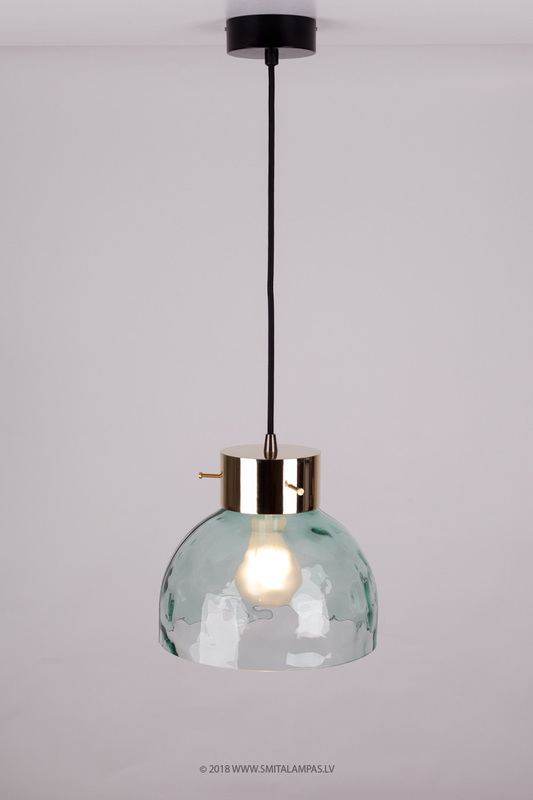 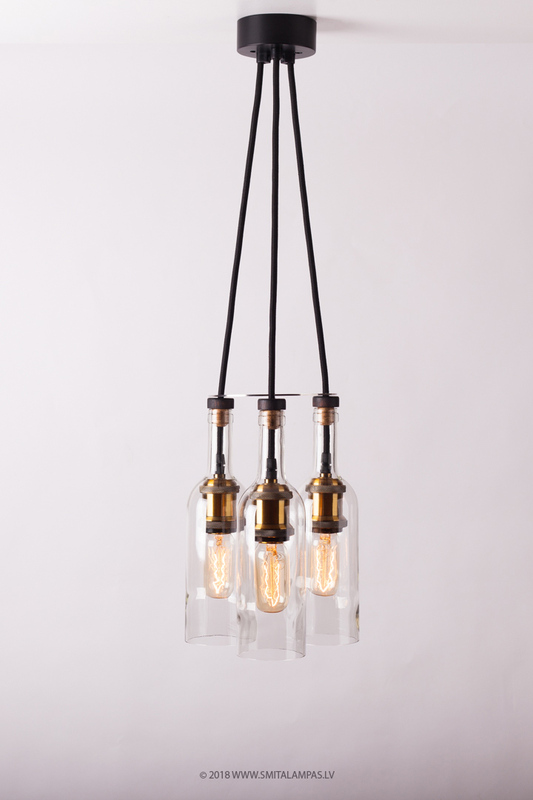 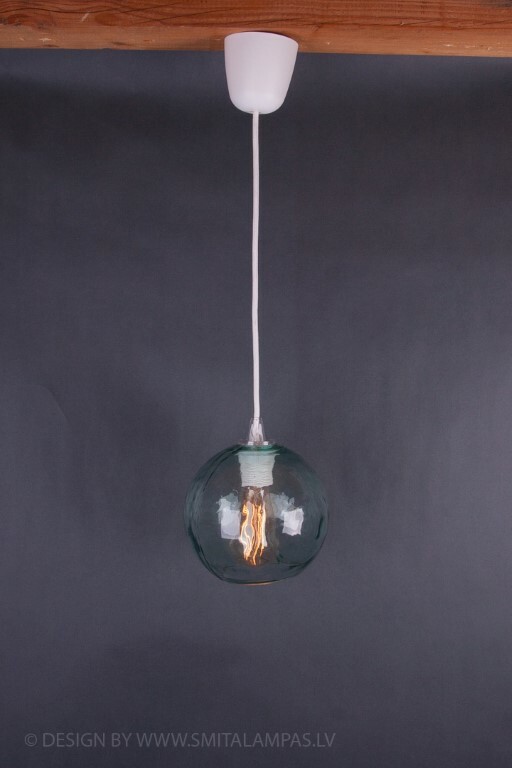 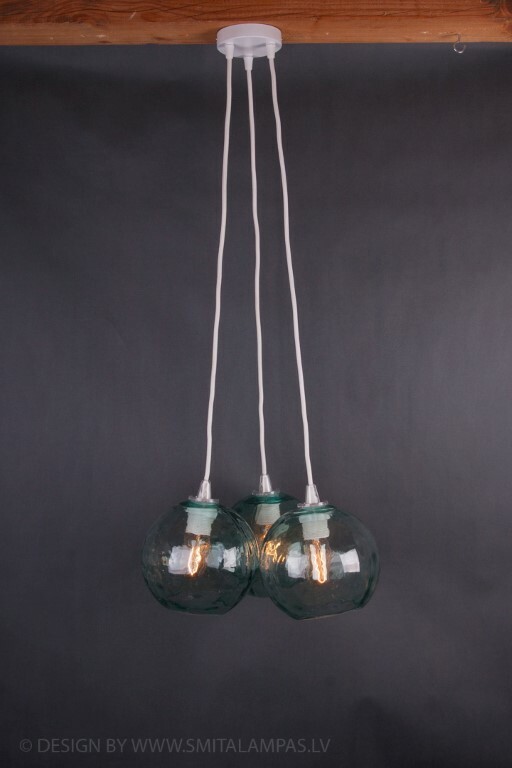 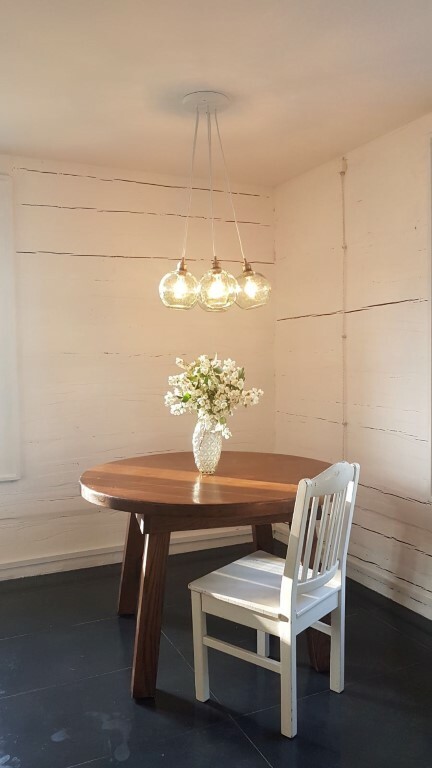 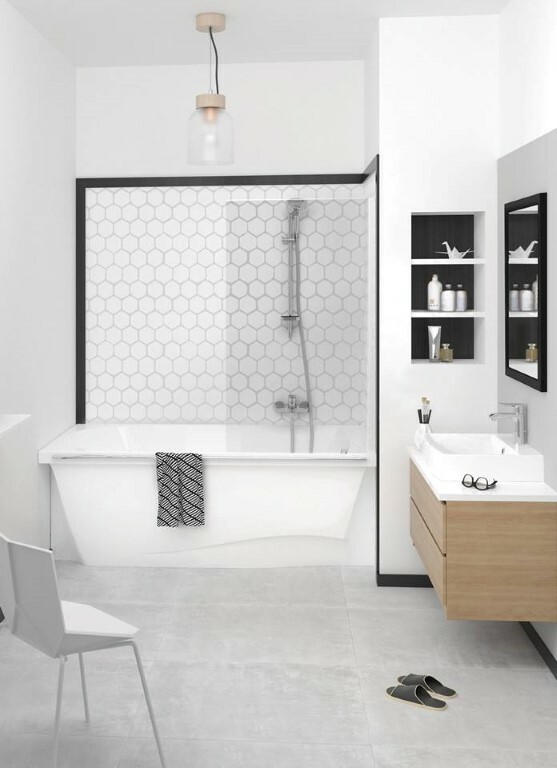 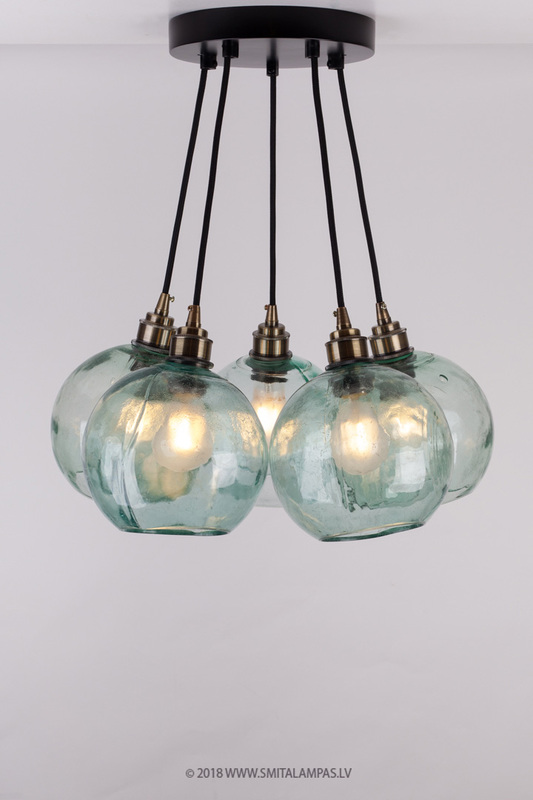 Pendant lamps we supply with ceiling hook. 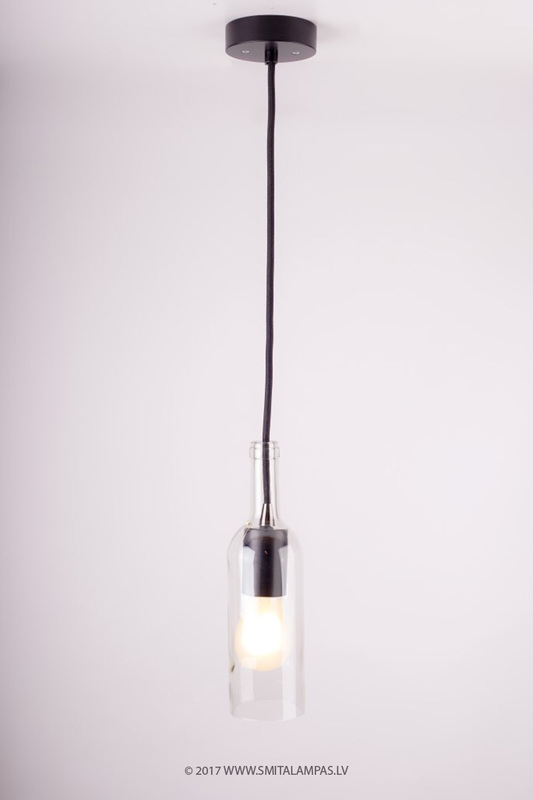 We recoment use bulbs with 40W or less power, but better is to choose LED bulbs. 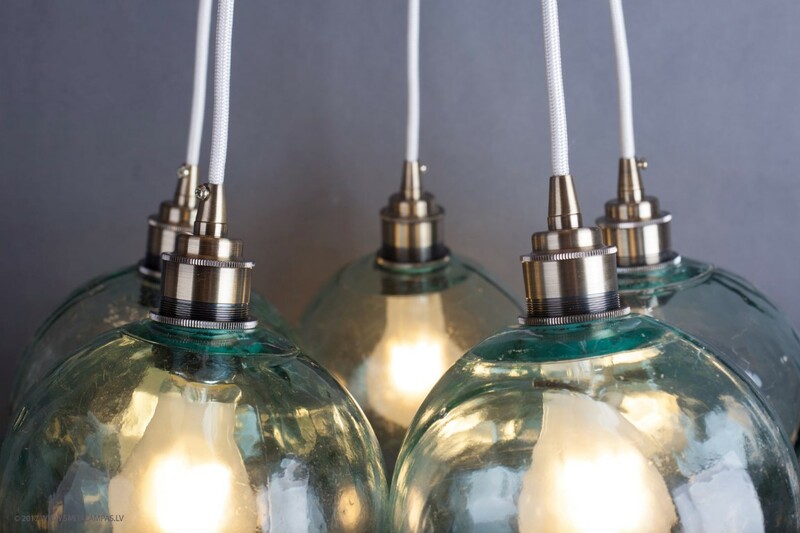 LED bulbs are more efficent in power consumption. 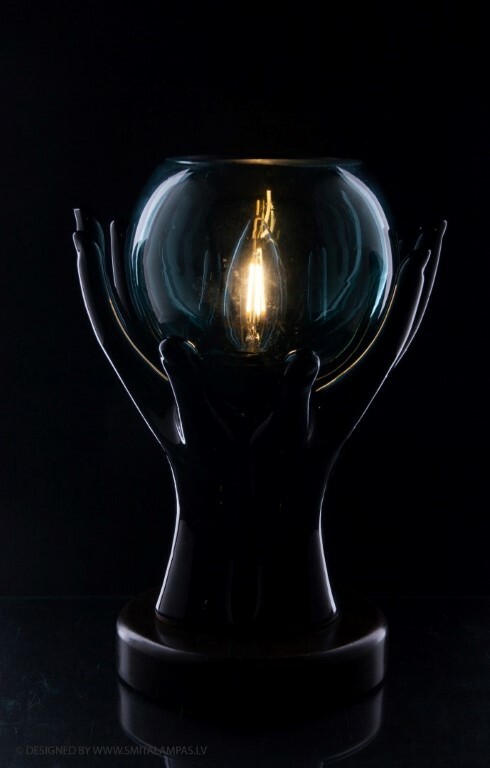 Energy that table lamps consumes is approximately 2.4 w to 9 w. The lamp run voltage of 12 V, which is provided by the power supply. 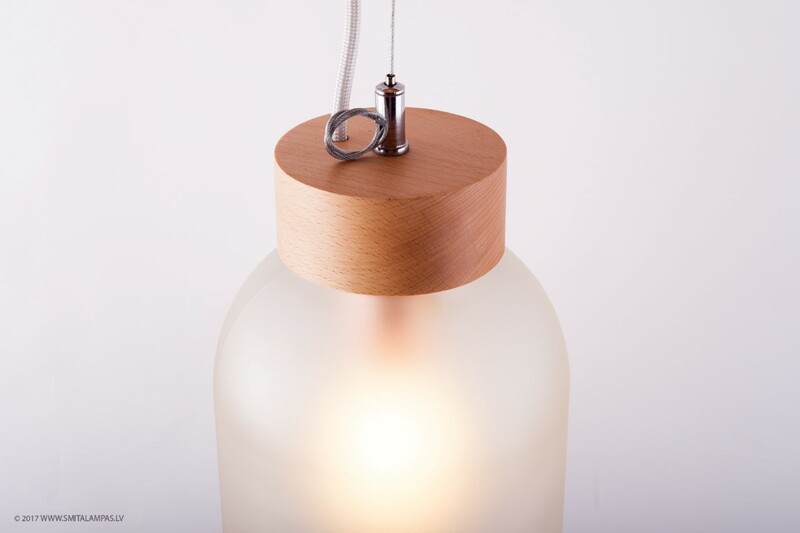 Table lamp is designed for indoor use only, without high humidity levels. 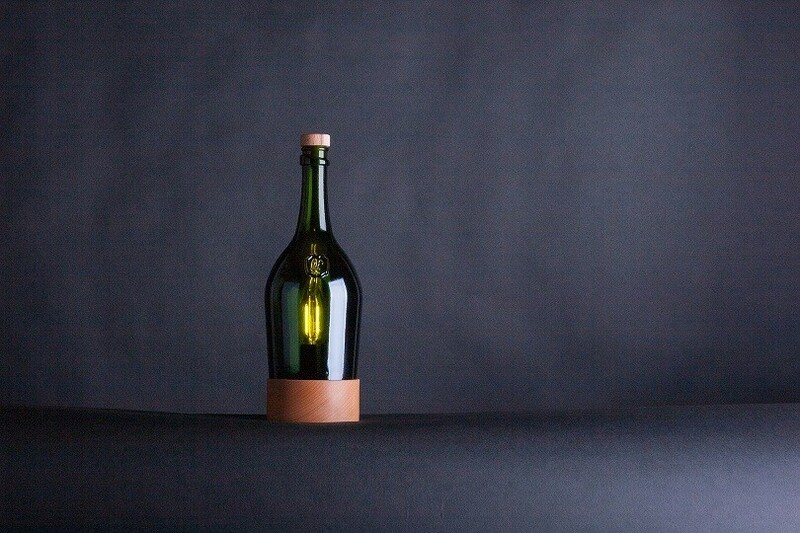 It is easy to care the wine bottle. 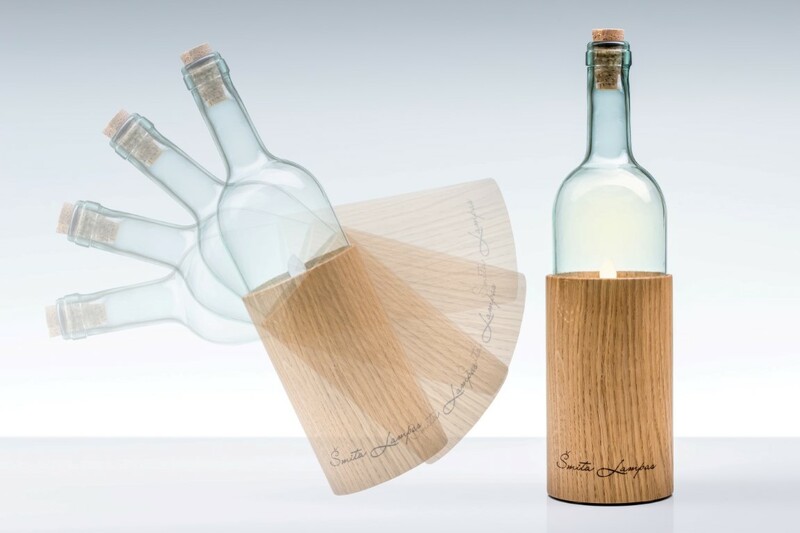 From time to time it is necessary wipe the bottle, from admirers fingerprints. 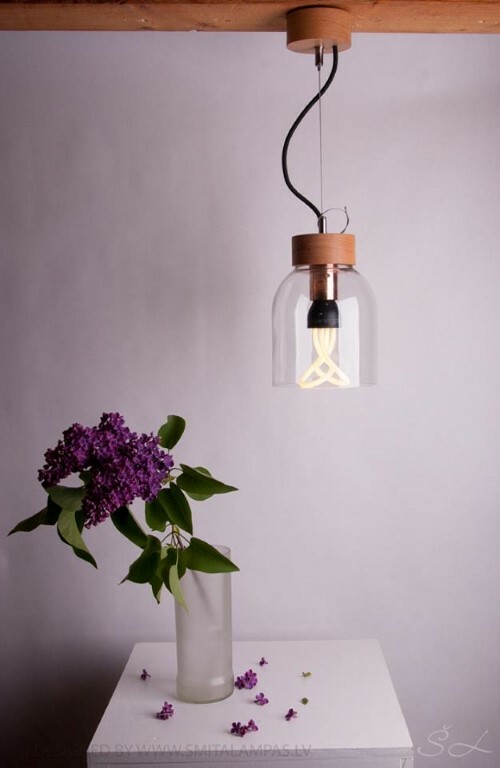 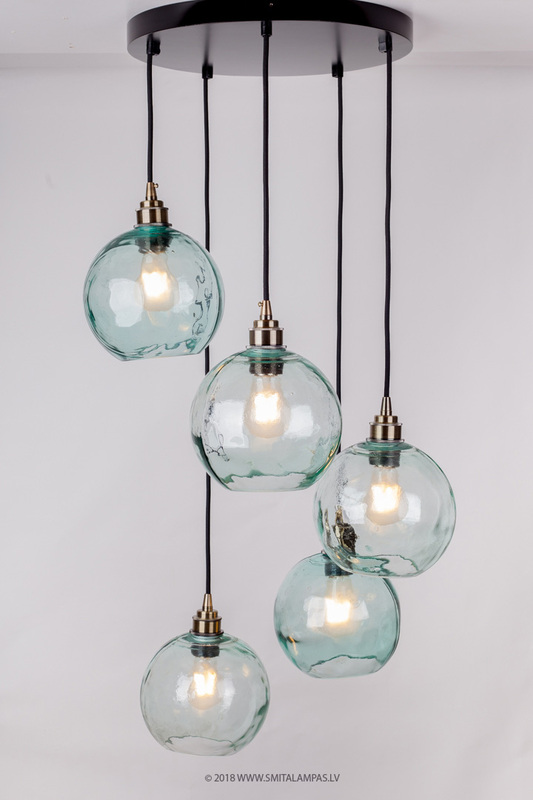 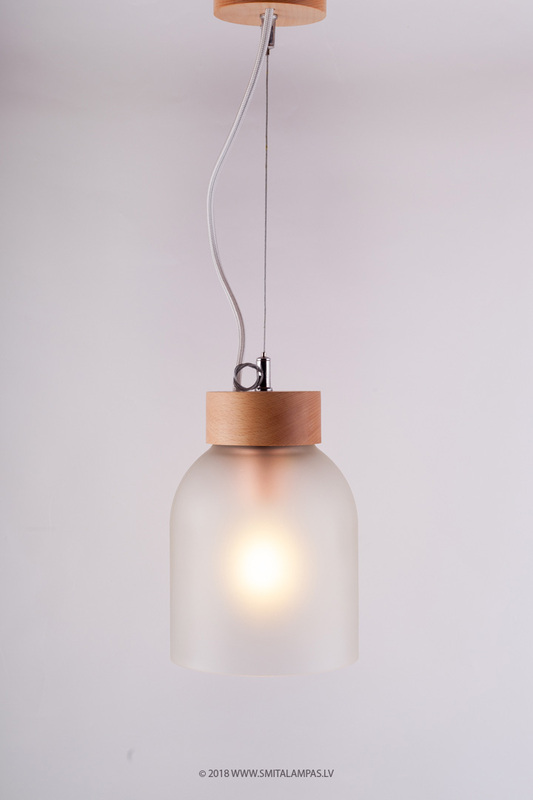 Pendant lamps anf floor lamps uses standart bulbs and consumption depends on bulb power. 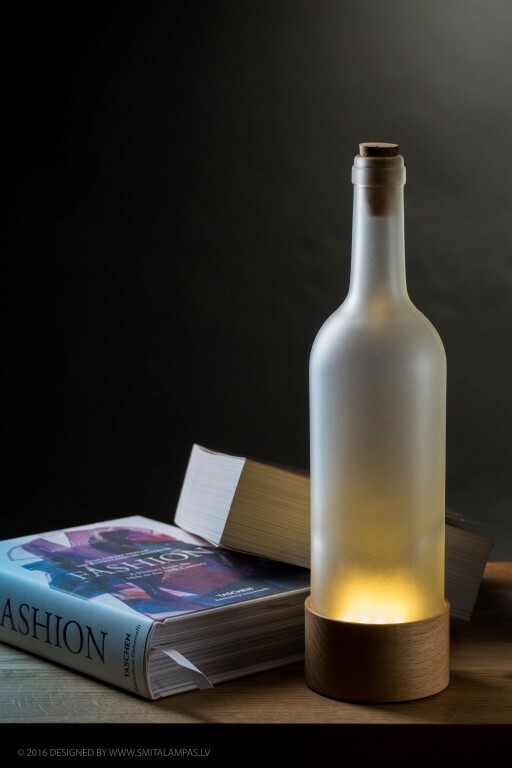 Table lamps comes in two different packages. 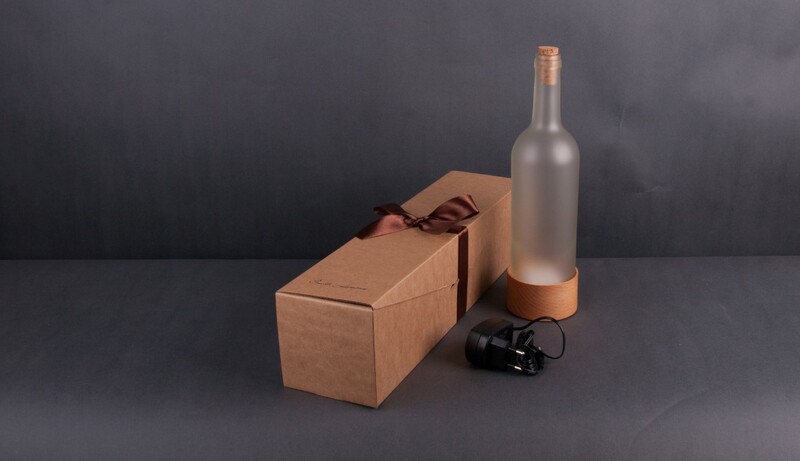 The first type of packaging is ascetically elegant cardboard box, where the lamp is safe to transport, and it will be a great decoration, if the lamp will be presented as a gift. 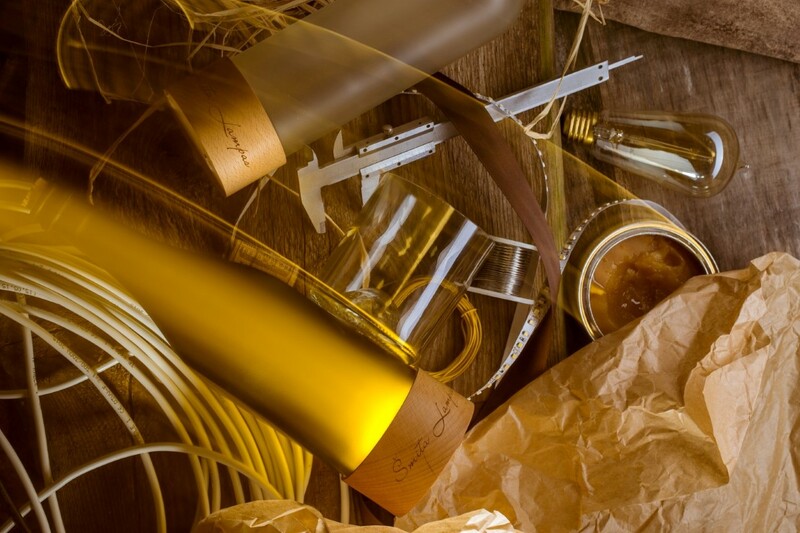 The second type of packing is pine box filled with fresh classical form shavings. 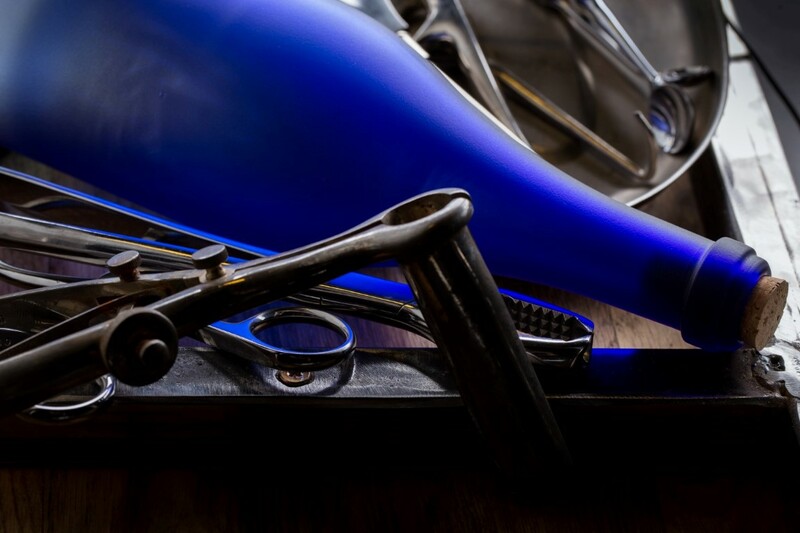 It also guarantees a safe transportation until the new owner's home. Pendant lamps and floor lamps we delivering in cardboard boxes. 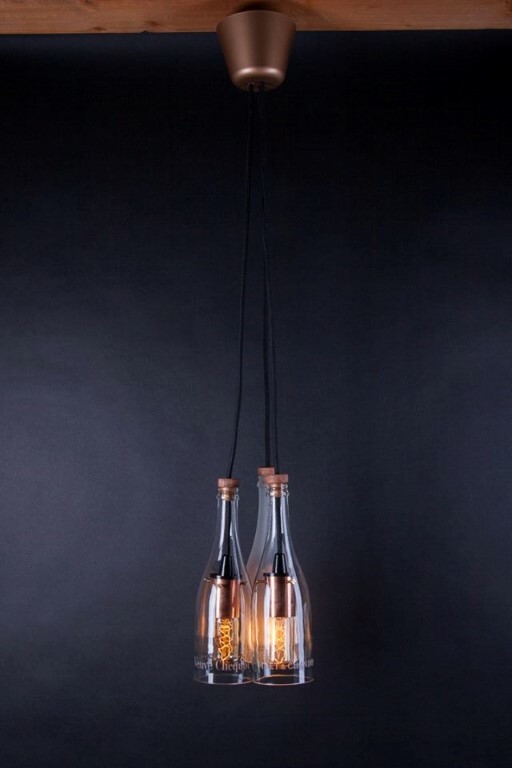 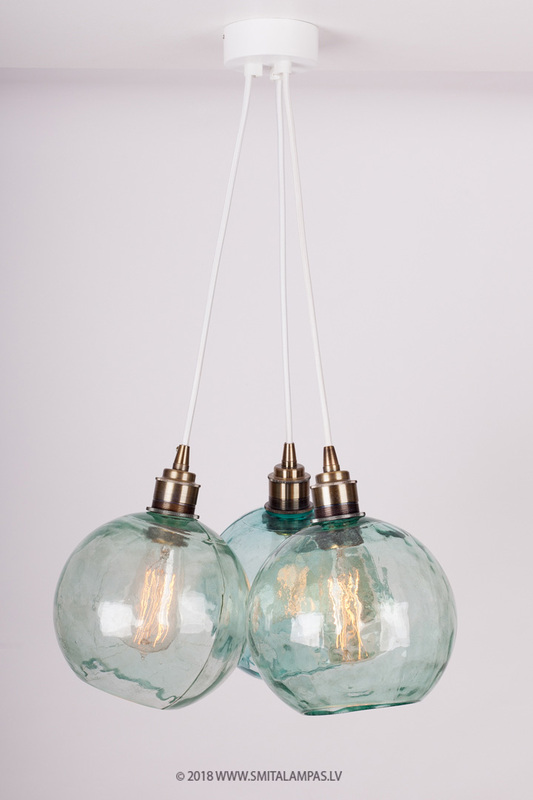 Lamps You can purchase through our home page contact form or email(just send us codes). 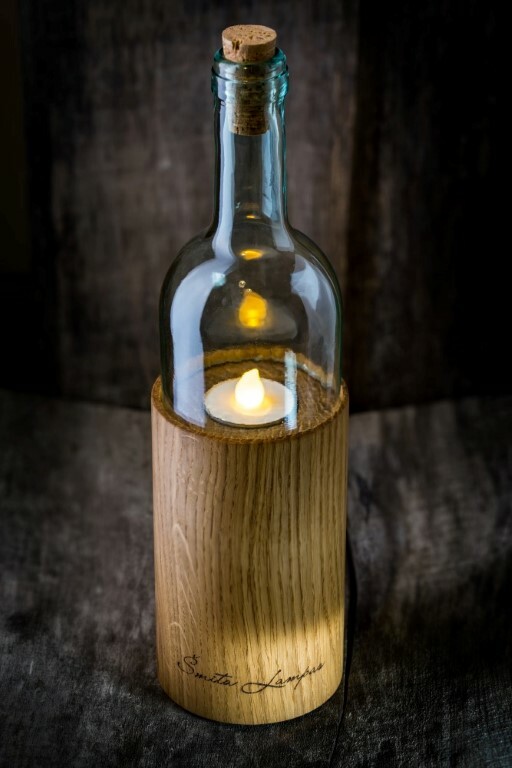 For larger or custom orders contact us by e-mail or contact form. 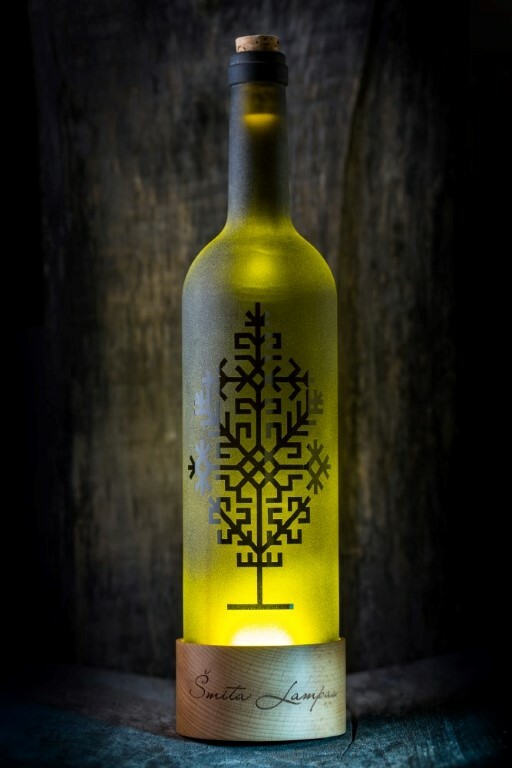 In Riga, Latvia we deliver orders free of charge. 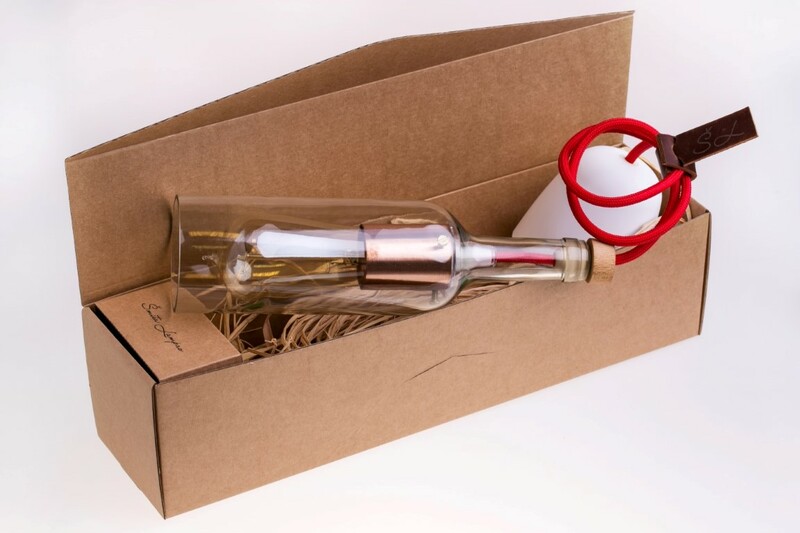 Elsewhere delivery possible by mail service or courier services. 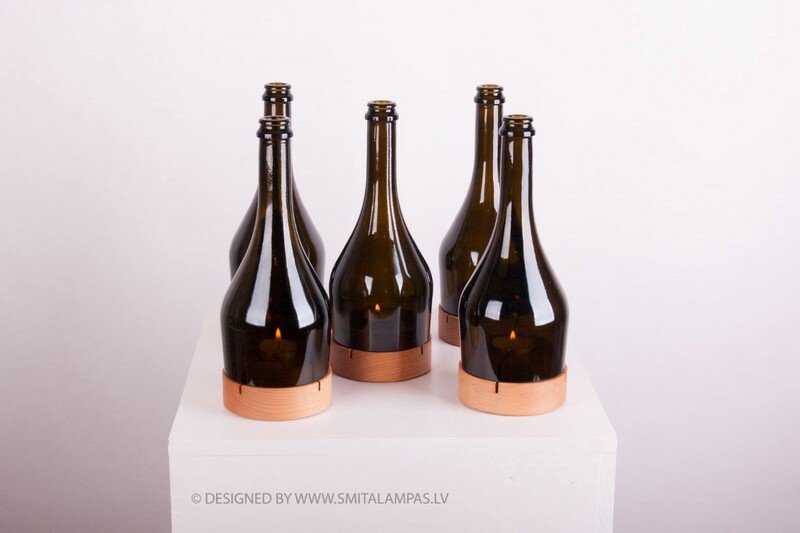 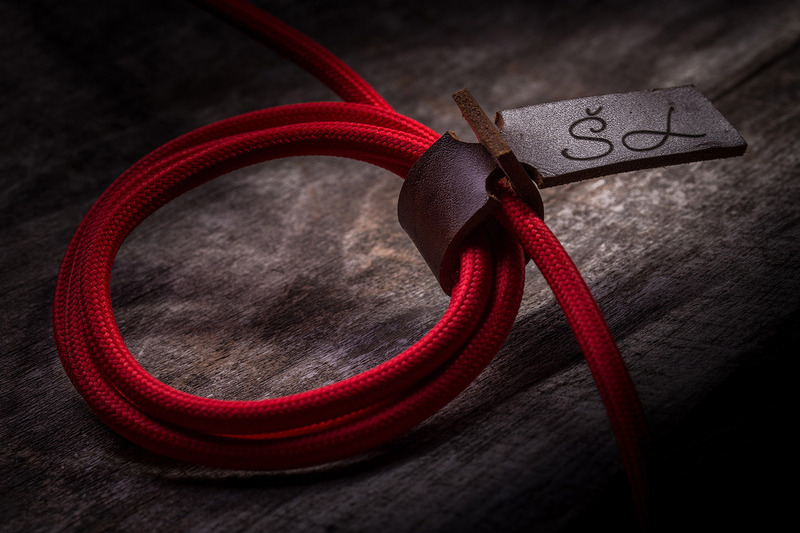 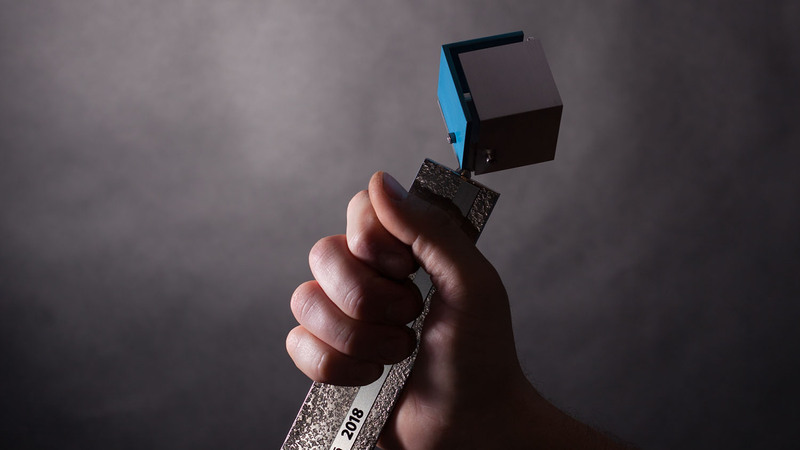 Unusual things make our lives more interesting, so Šmita lampas does. 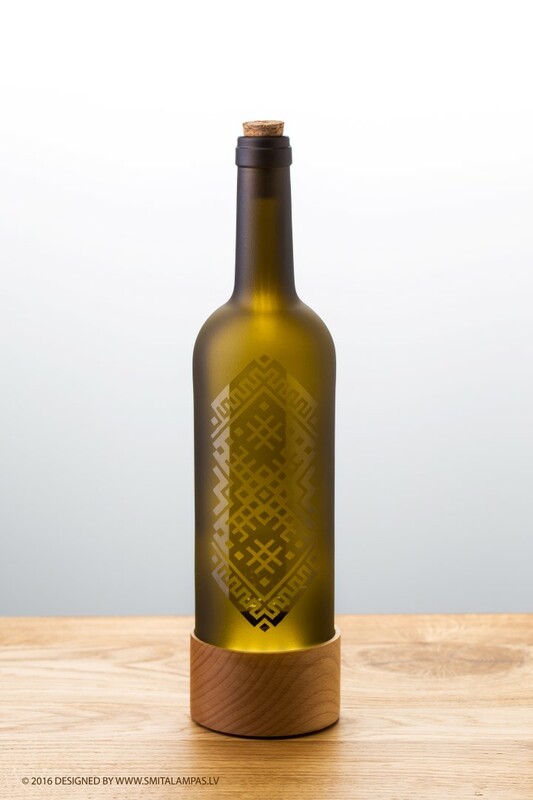 We offer custom engravings on wooden bases to add more value to gift. 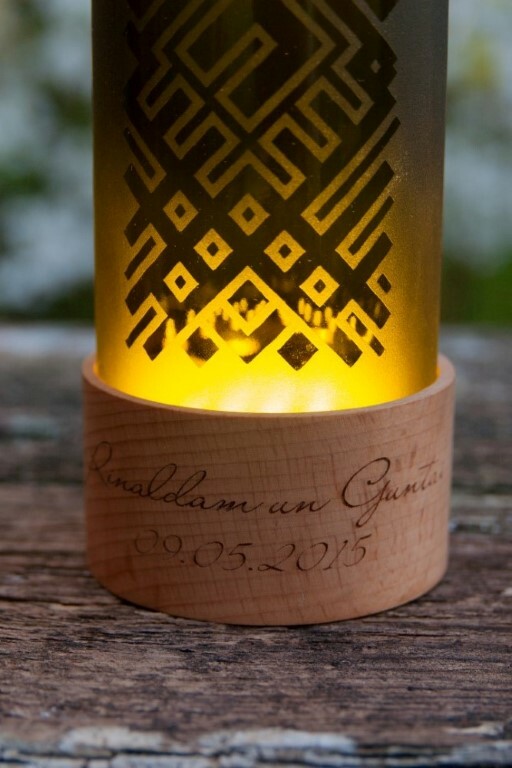 Also we are open for cooperation with companies to provide corporate gifts. 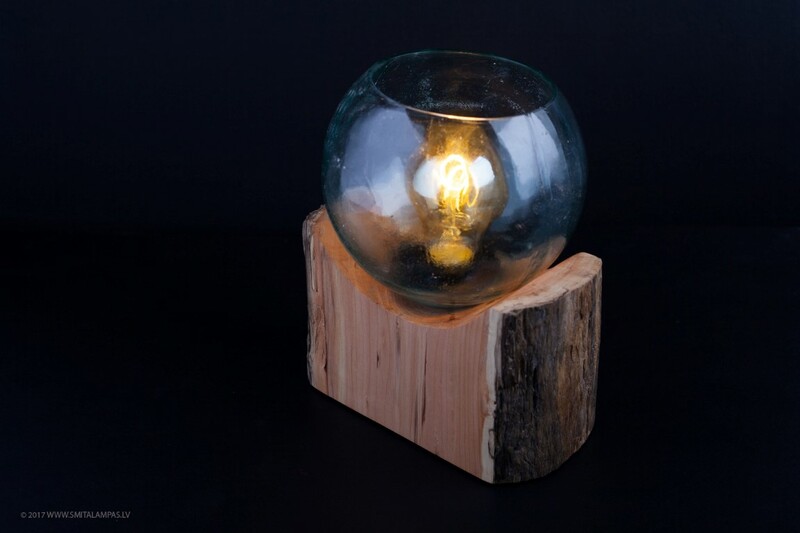 Of course, if you have an idea and look for implementers, we can talk to. 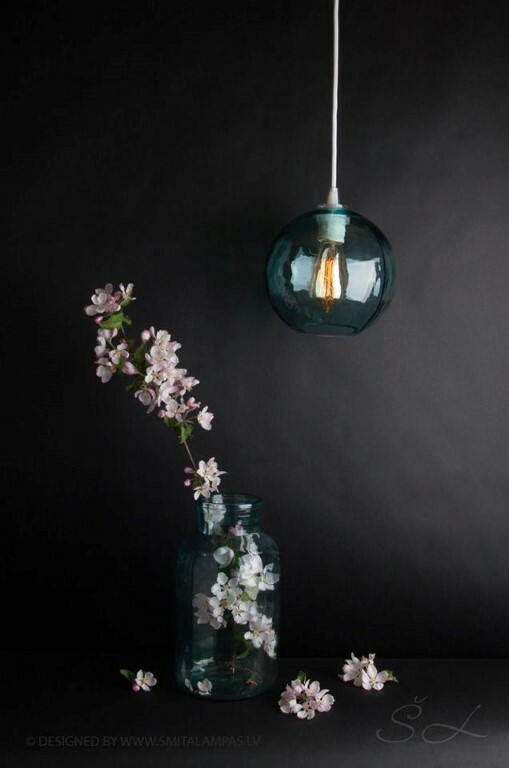 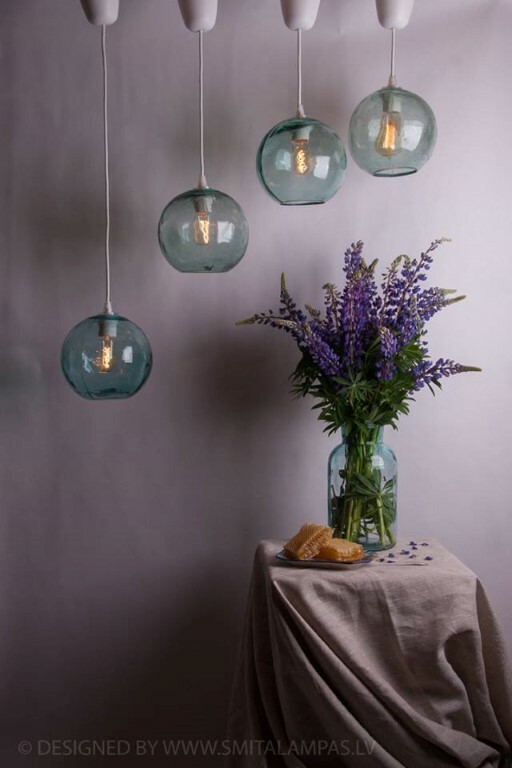 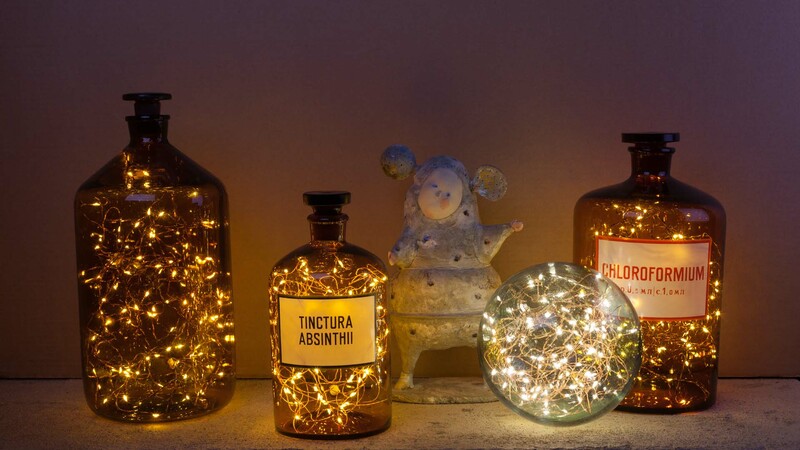 We offer decorative, mood lamps made of pharmaceutical jars. 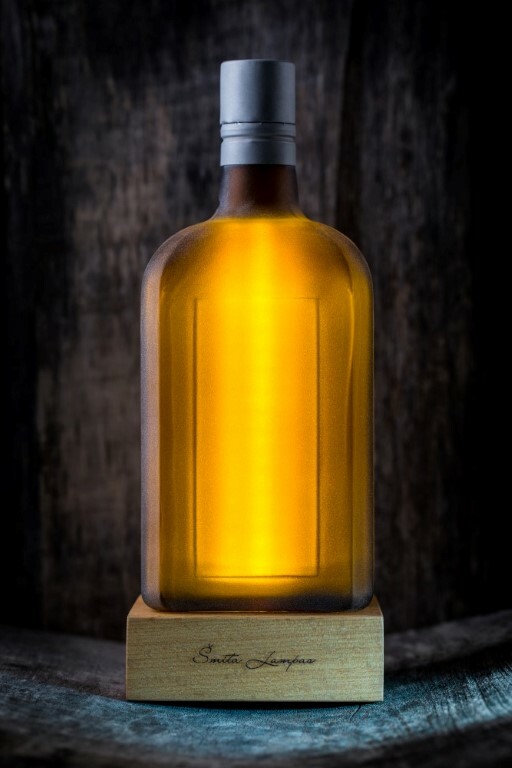 The jars are authentic, used in the last century in pharmacies. 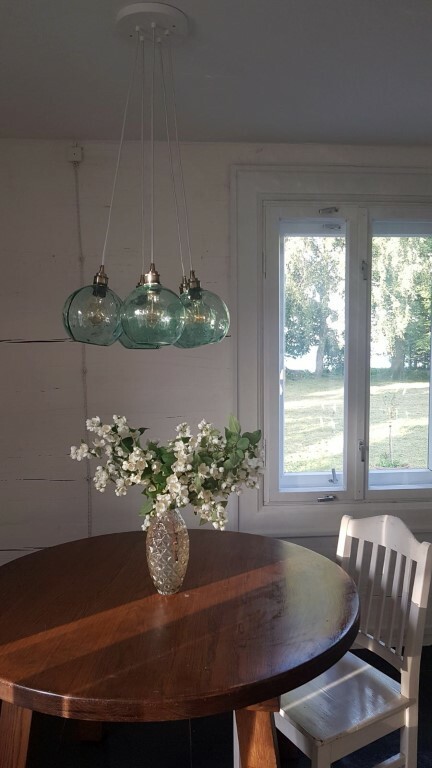 Jārs are old from different places in Latvia. 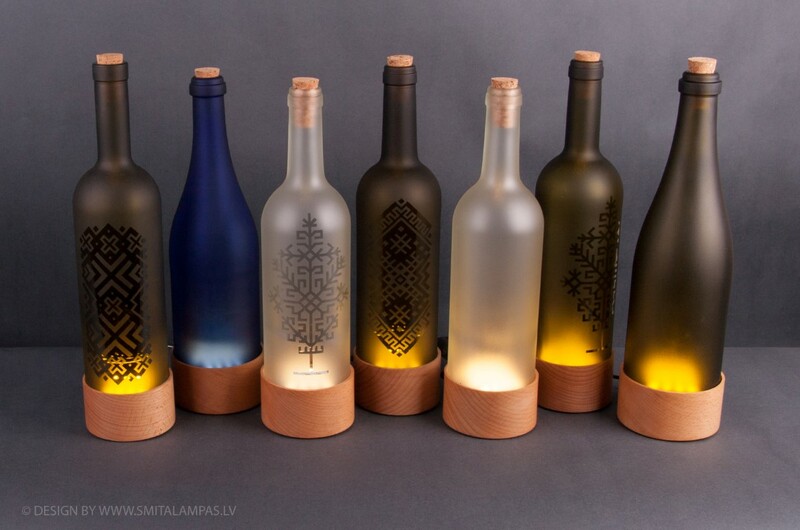 Almost each lamp are unique. 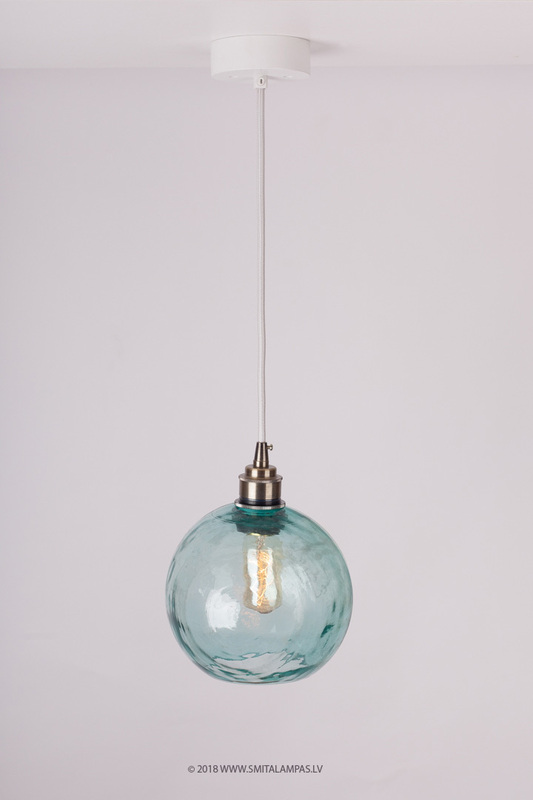 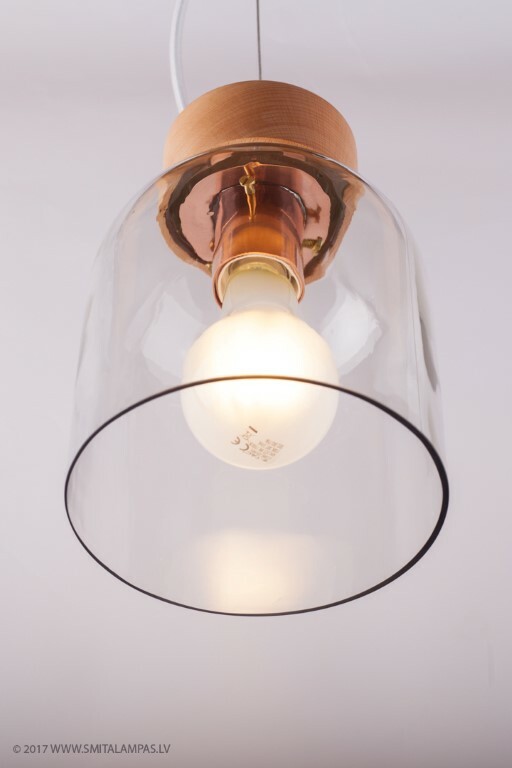 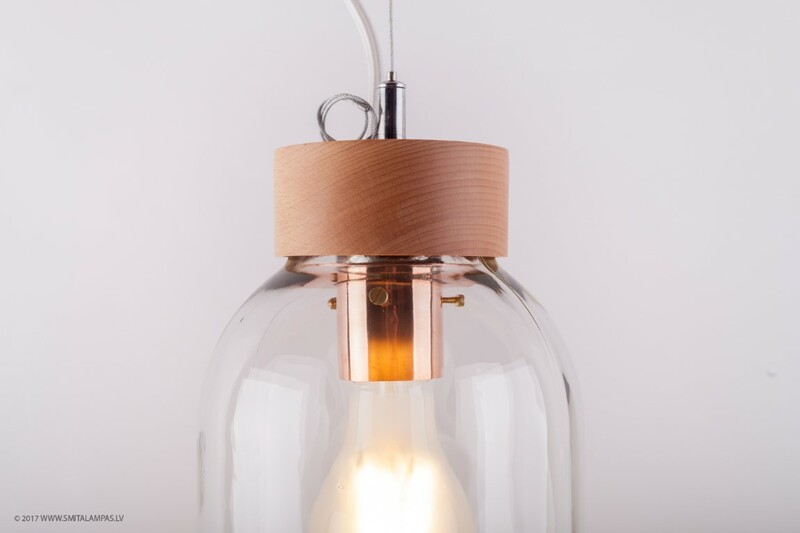 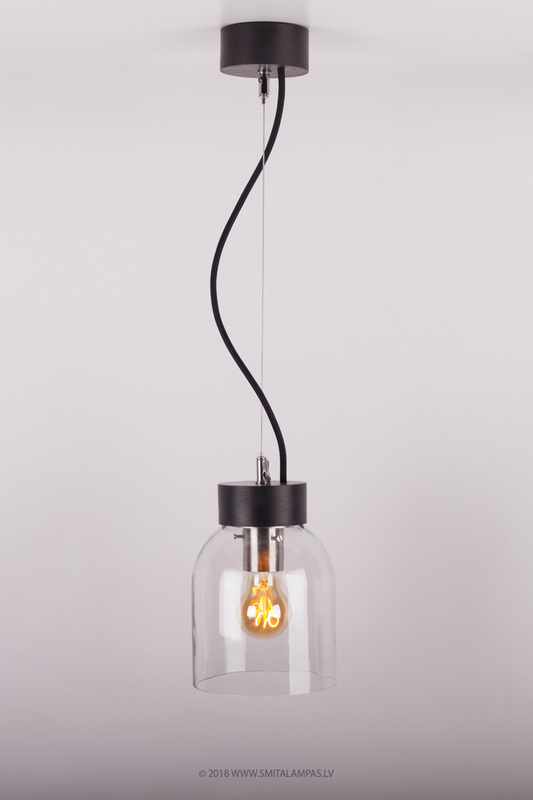 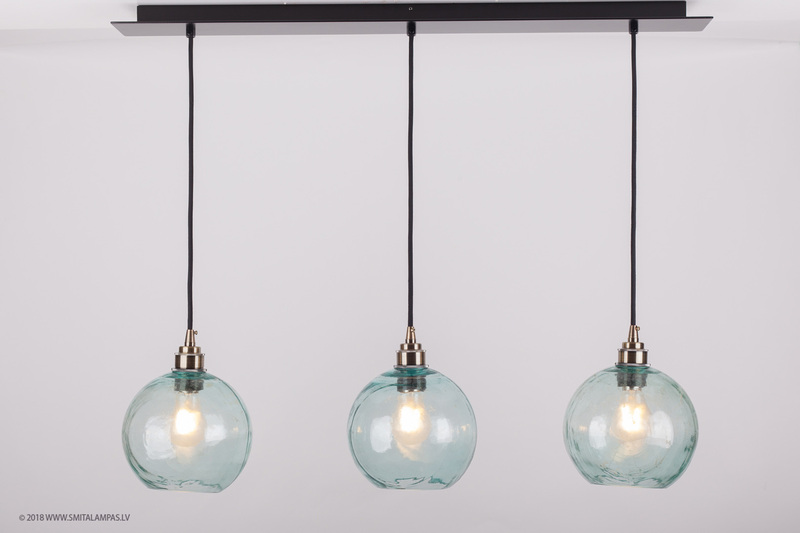 The range of finished lamps will renews and changes, and due to this is hard to maintain information on our website. 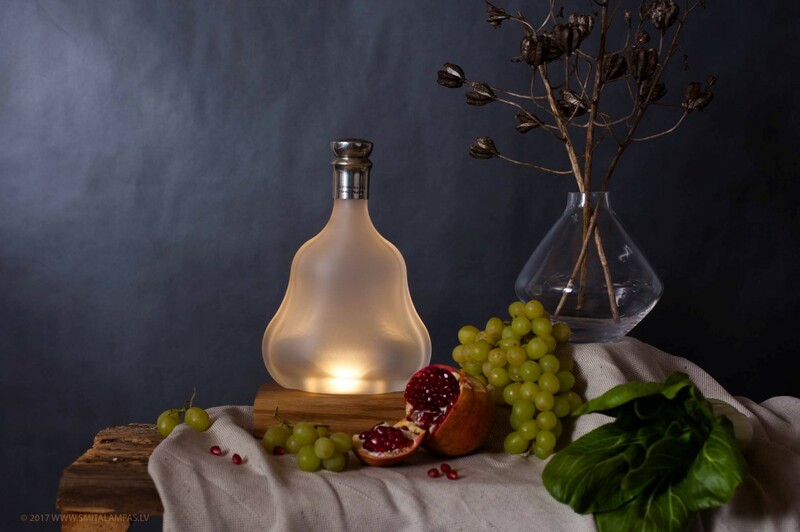 If you want such a lamp, send an e-mail, a private message in our Instagram account or a Facebook page and in a reply, we will send in the pictures the offer of our current pharmacy jar lanterns. 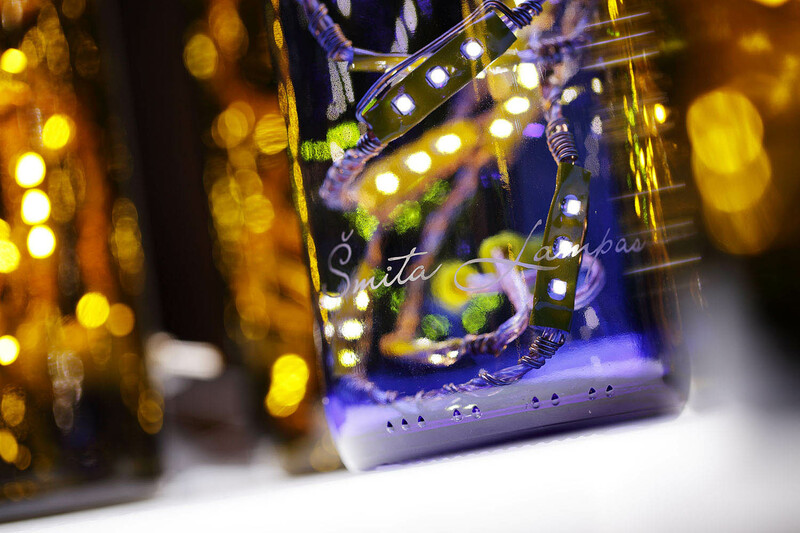 All lamps are filled with LED strings. 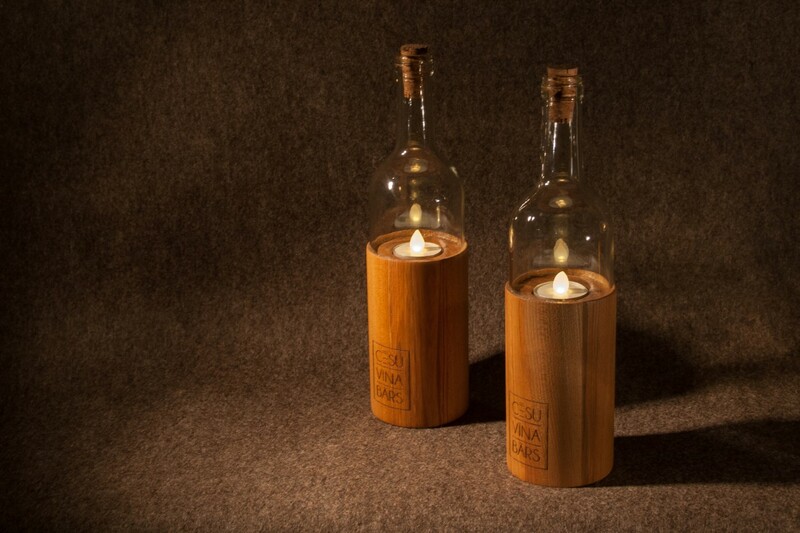 They operate from a socket with a converter to 12v. 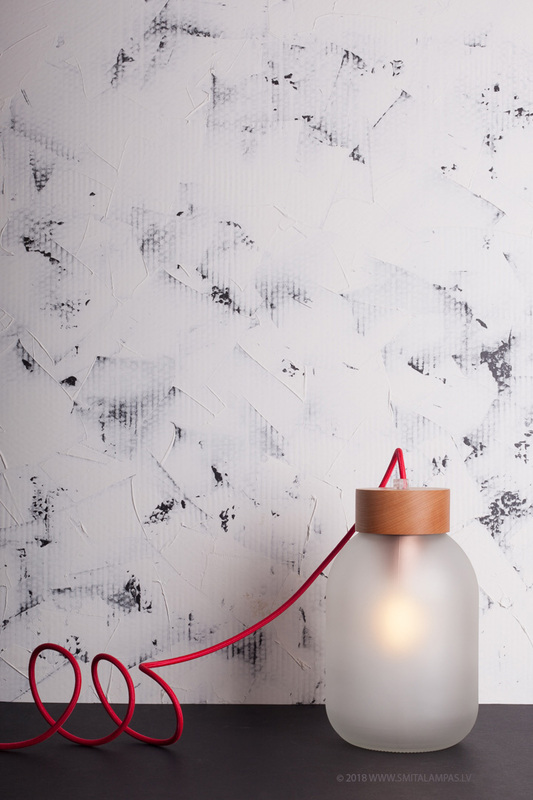 Lamps do not need batteries. 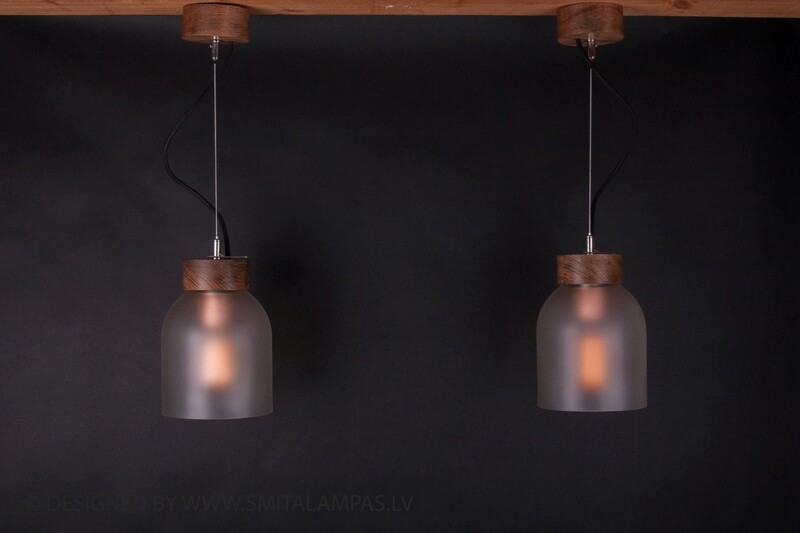 In the contest "Latvijas Dizaineru savienības balva 2018"
With this form You can contact us about prices, lamp purchases. 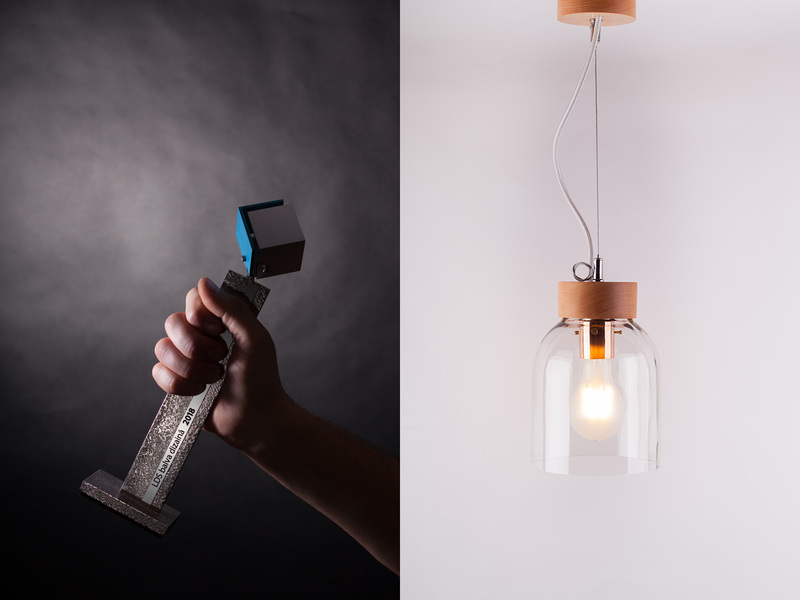 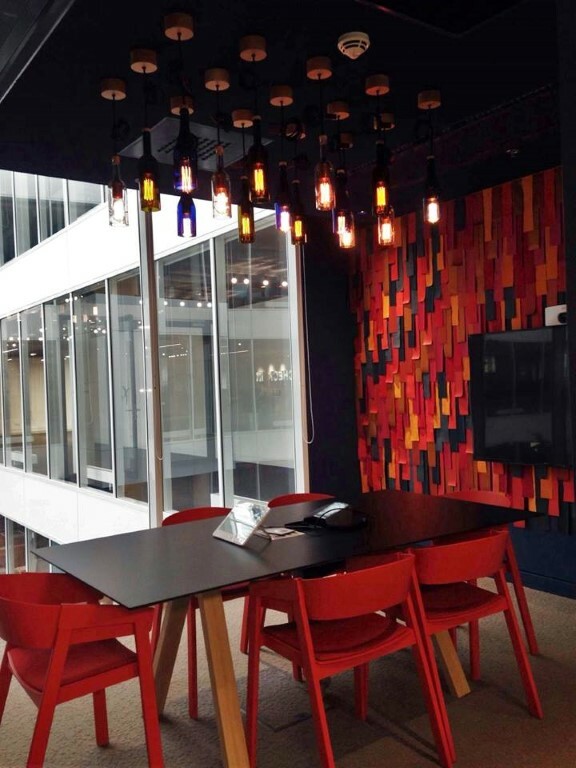 As light is our passion, we are open for custom ideas realisation.